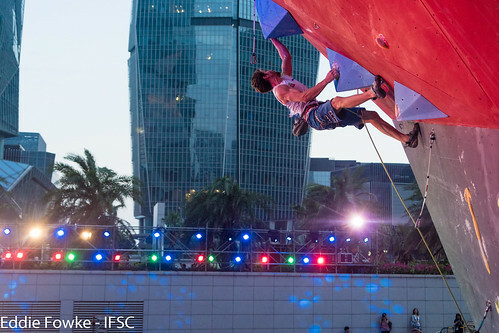 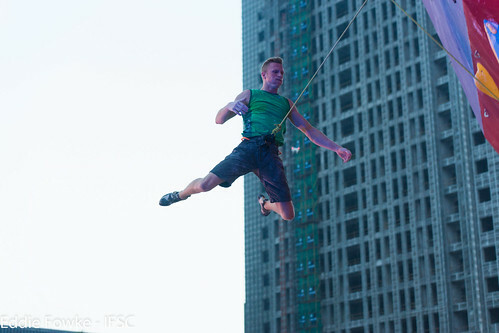 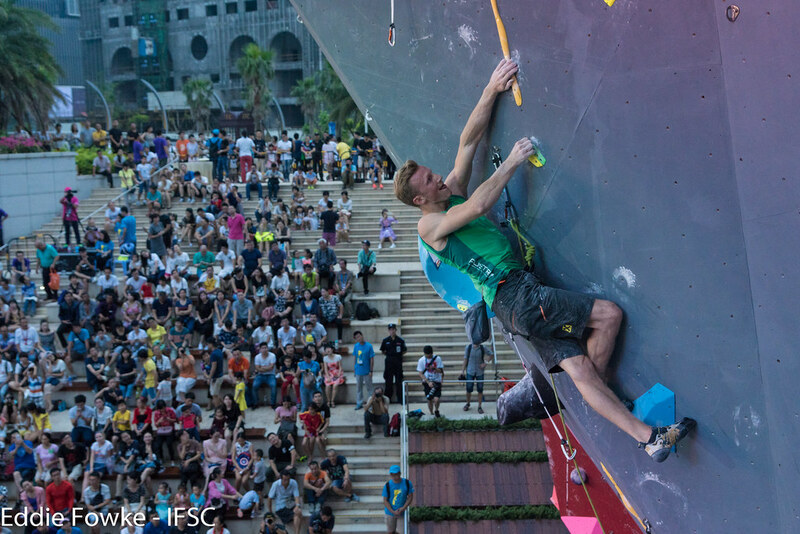 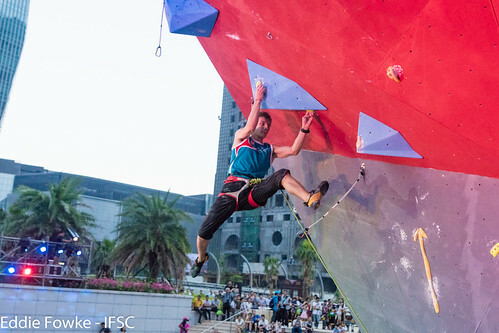 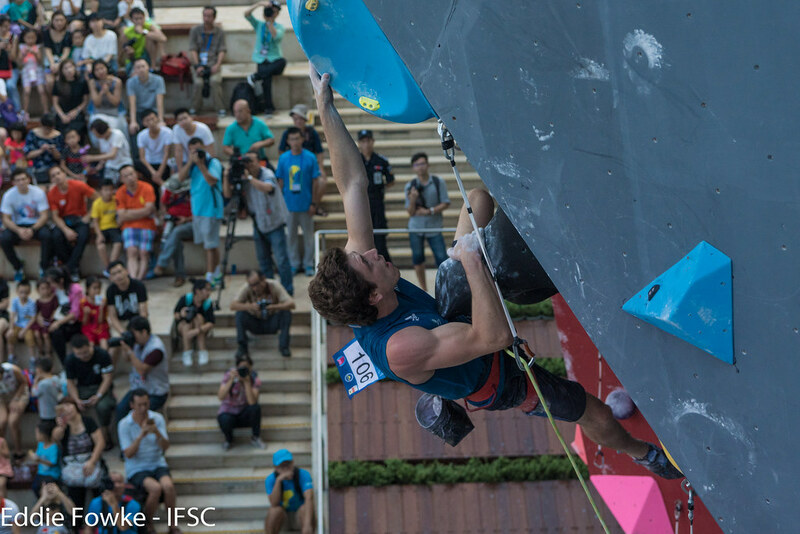 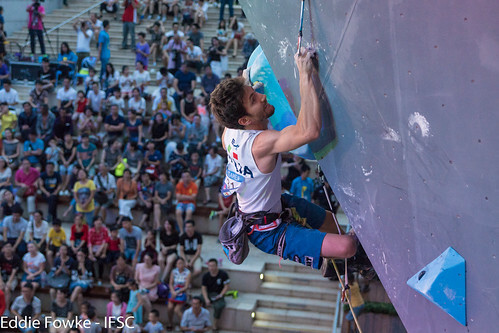 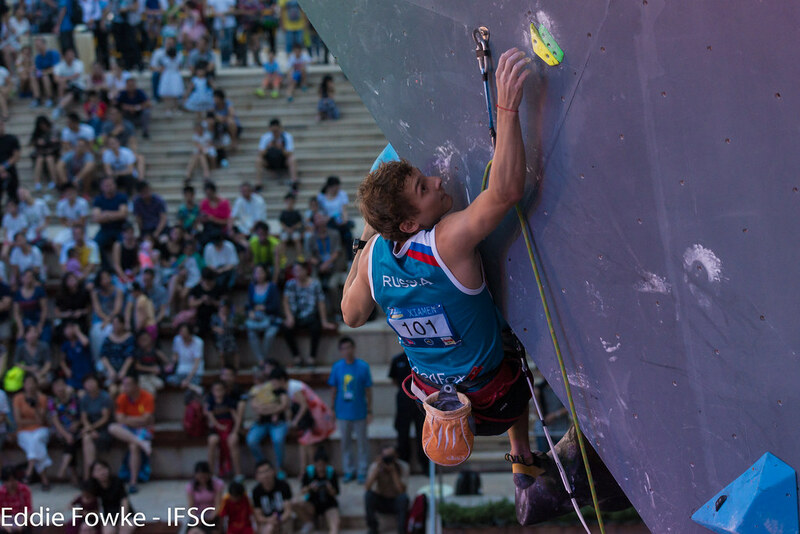 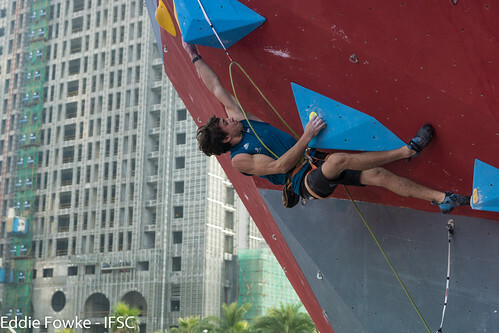 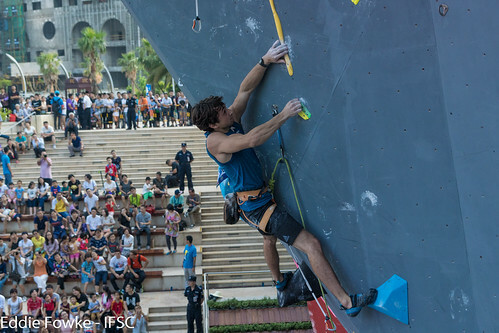 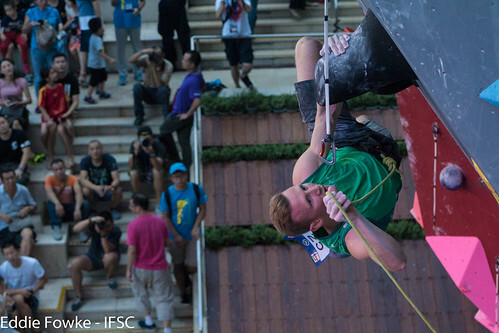 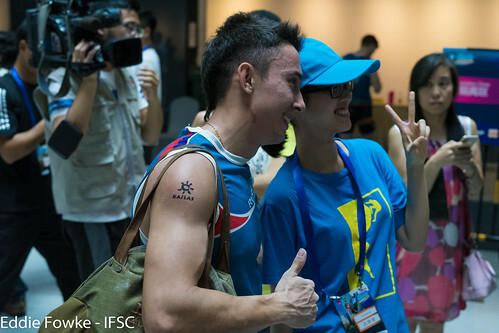 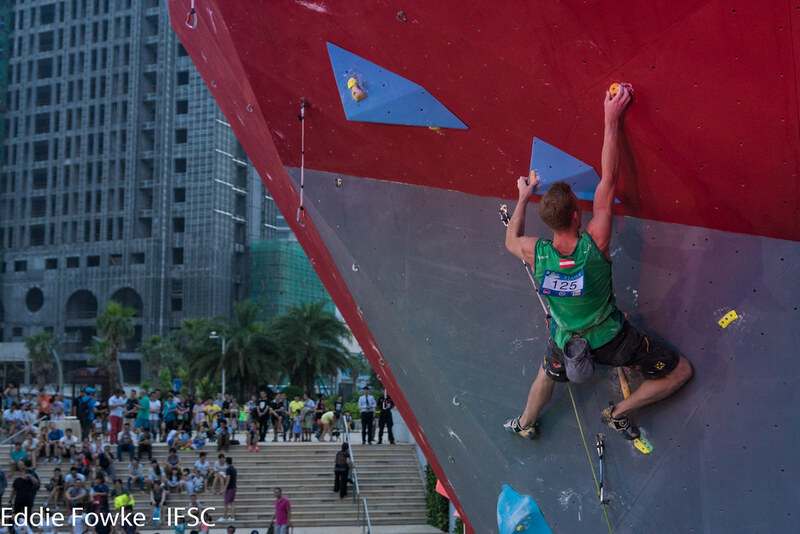 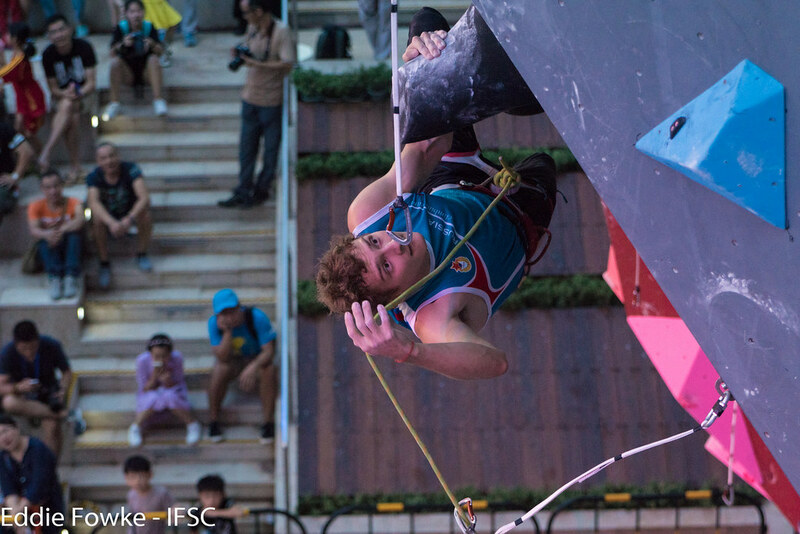 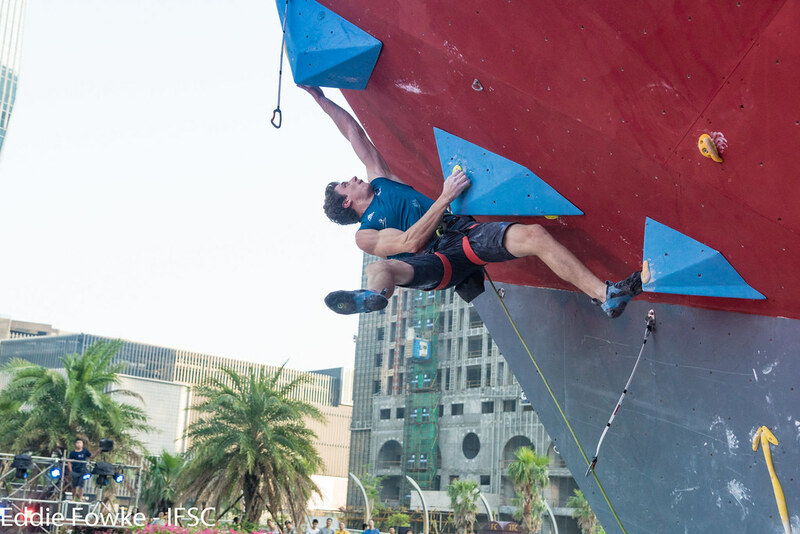 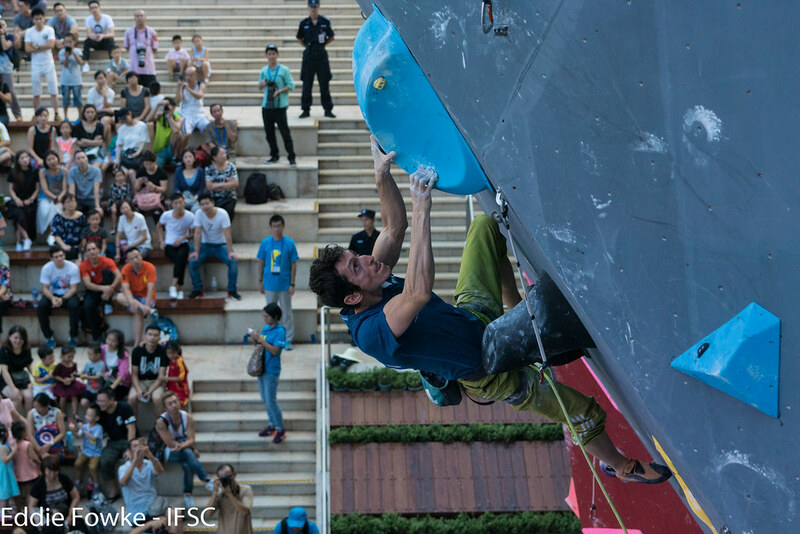 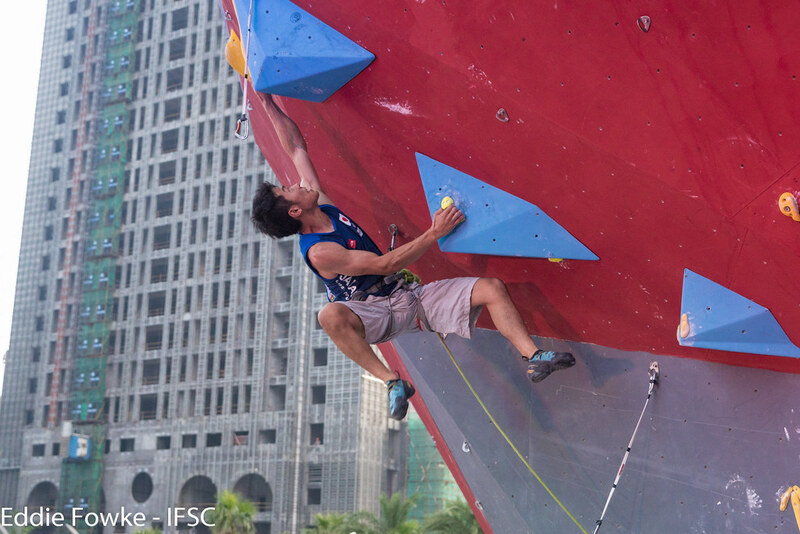 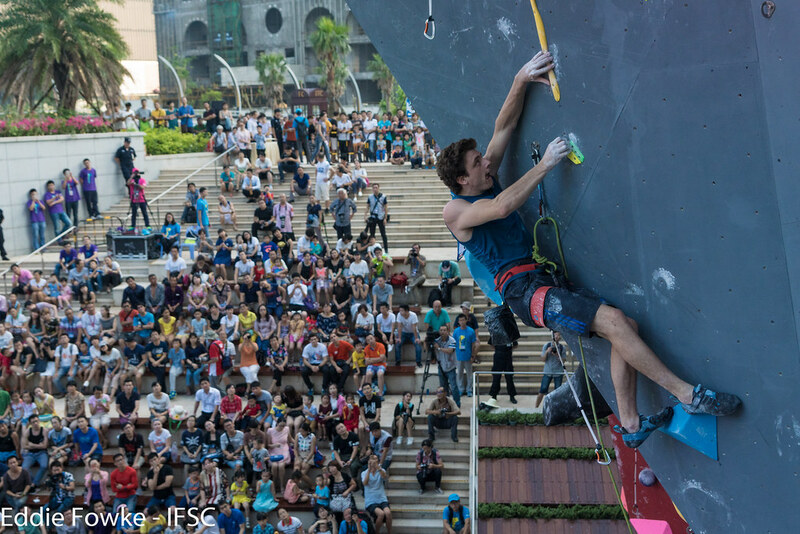 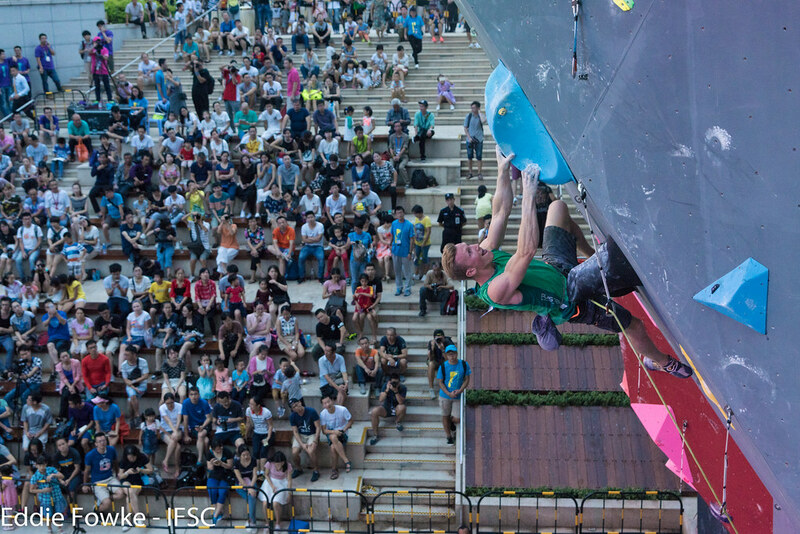 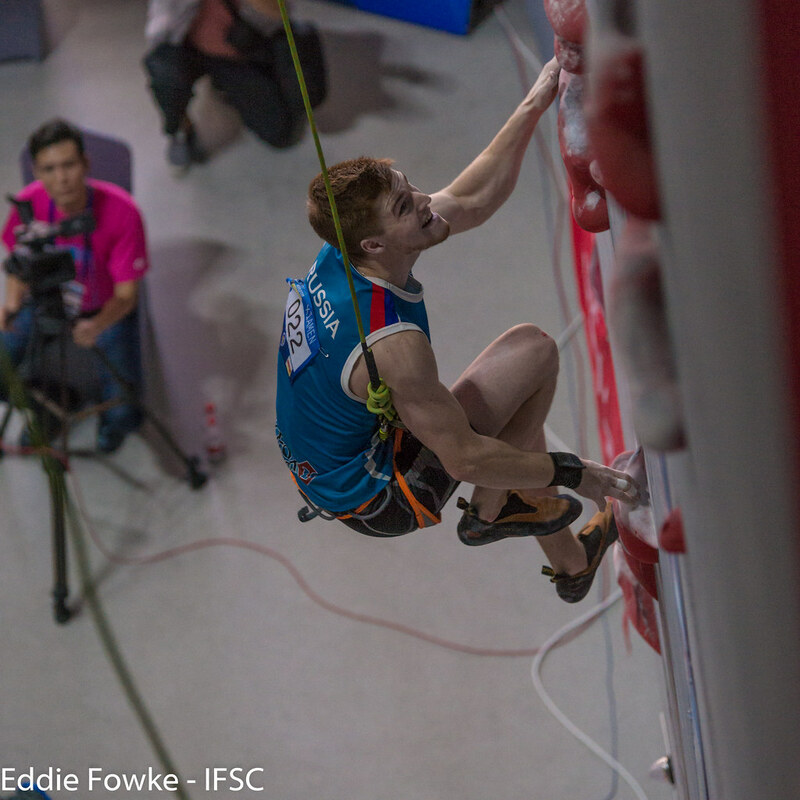 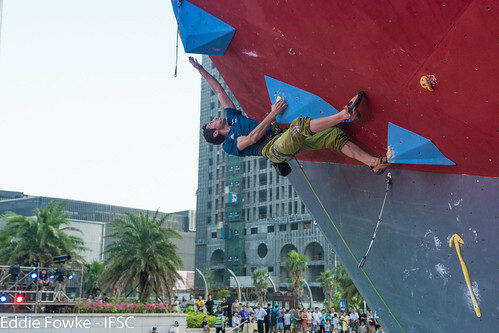 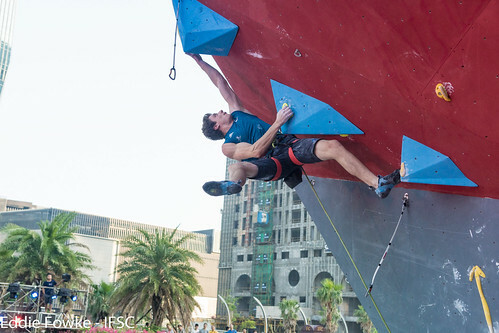 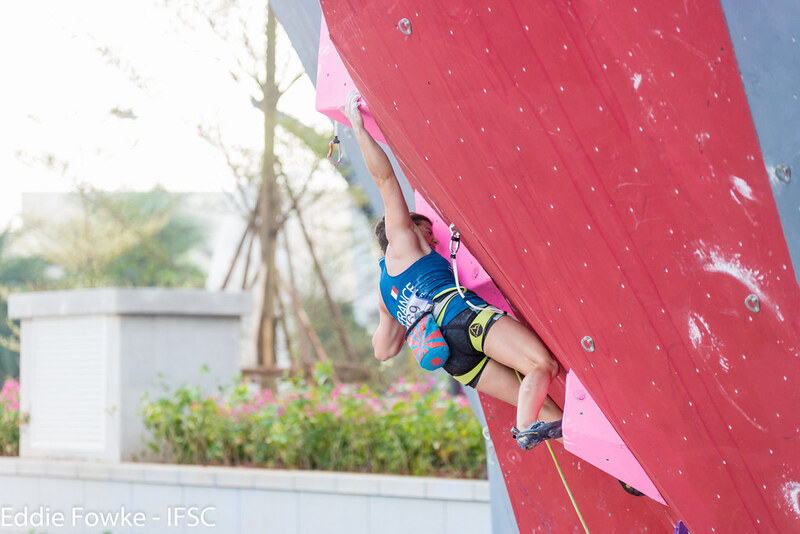 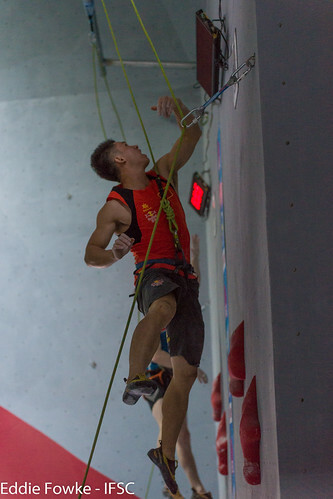 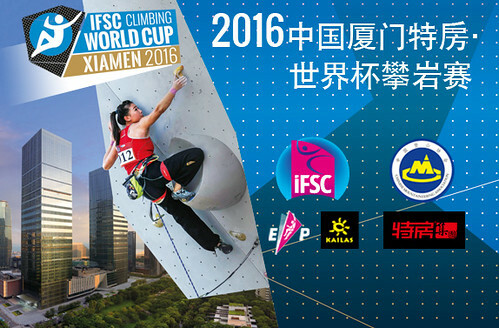 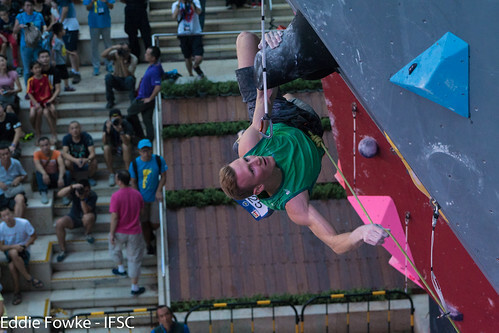 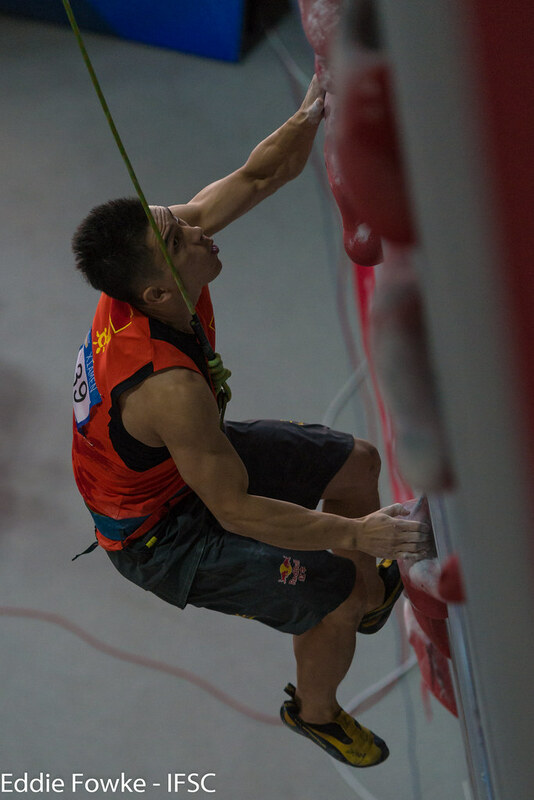 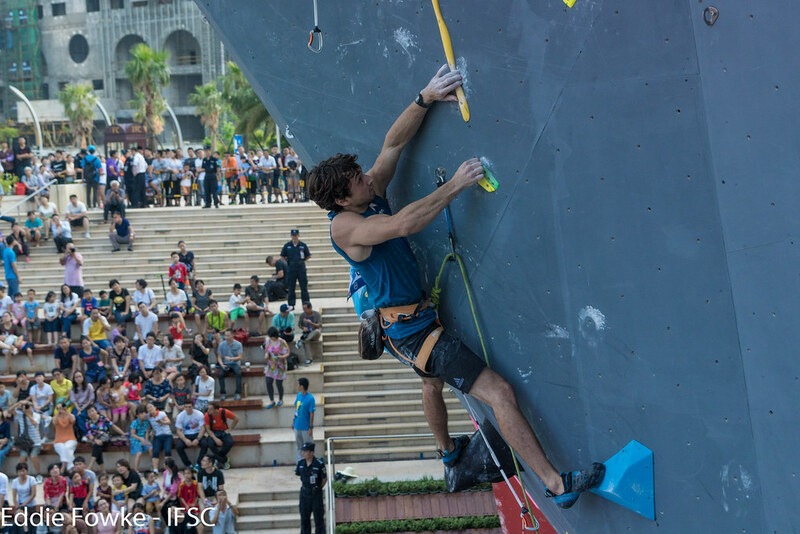 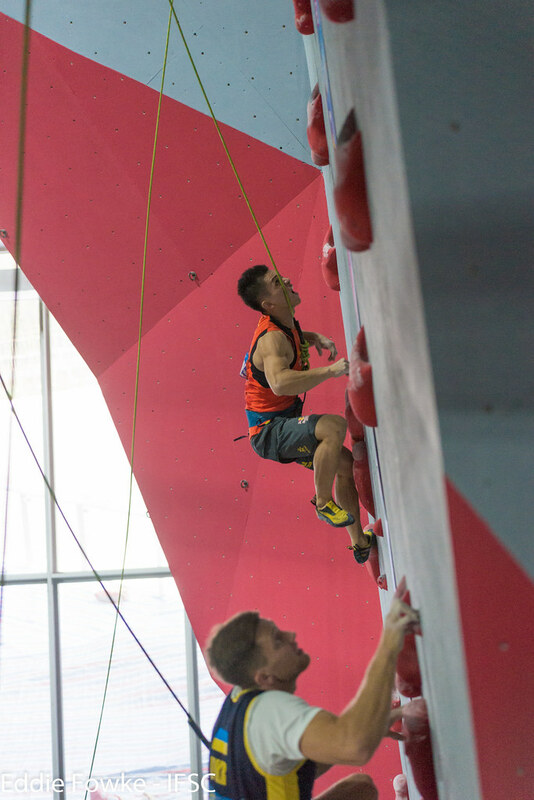 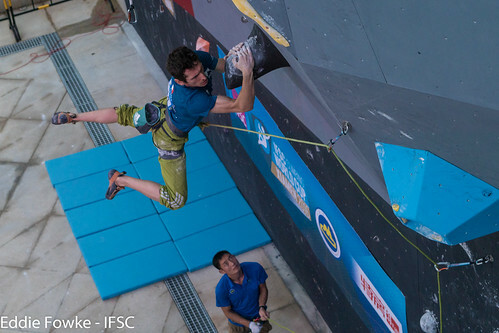 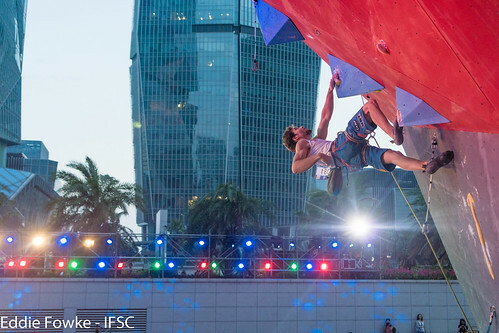 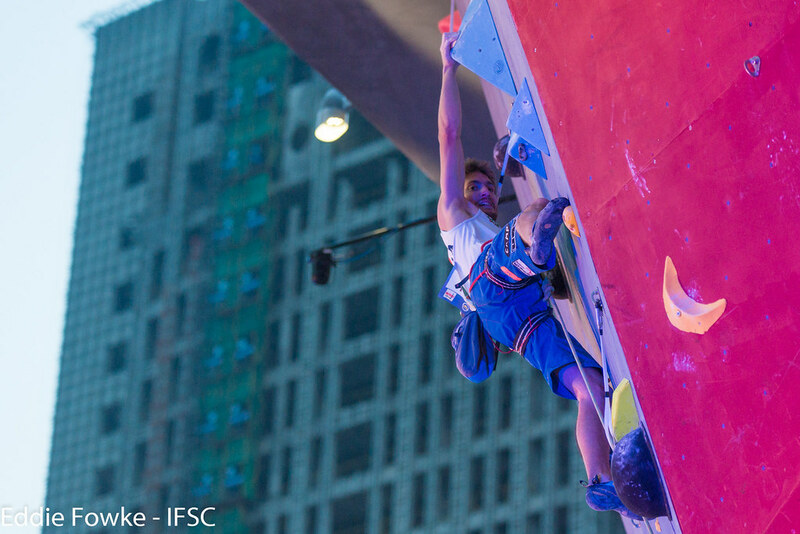 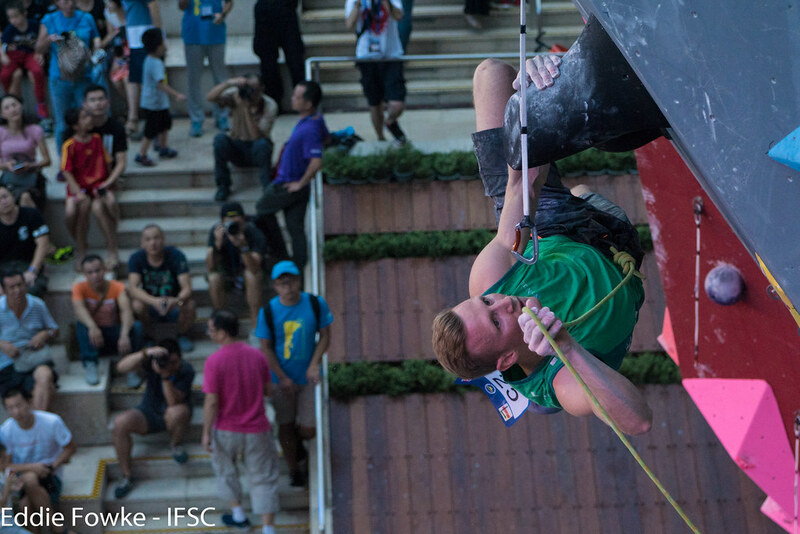 Only days after Wujiang, the best Sport Climbers in the world journeyed further down China’s East coast this weekend for the first IFSC World Cup in Xiamen, China. 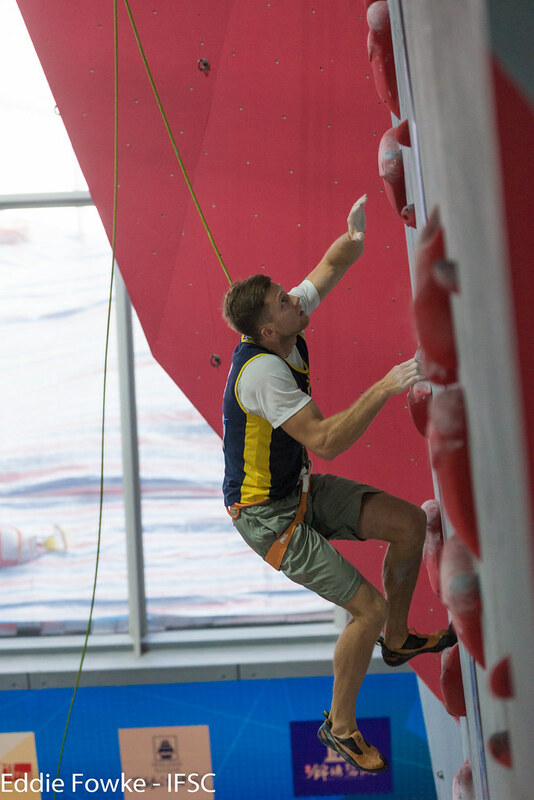 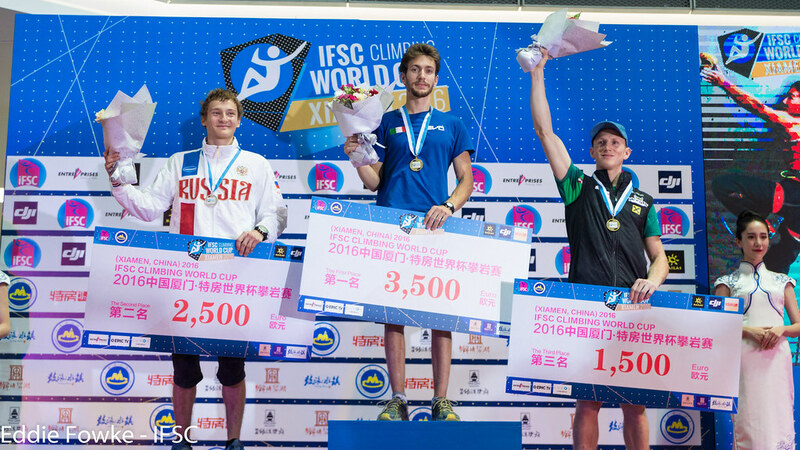 After a drizzly competition earlier this week, elite Speed Athletes faced-off in a humid indoor venue for the final IFSC Speed World Cup of 2016. 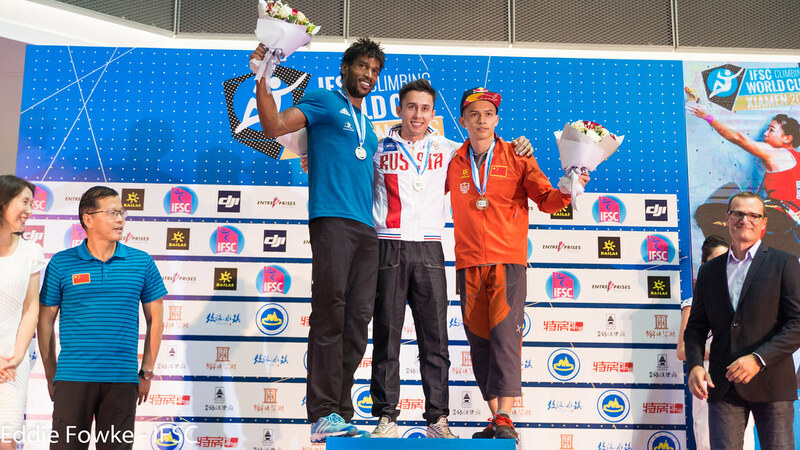 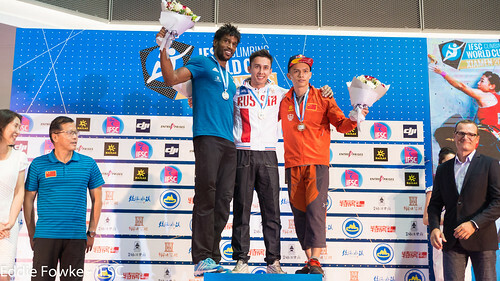 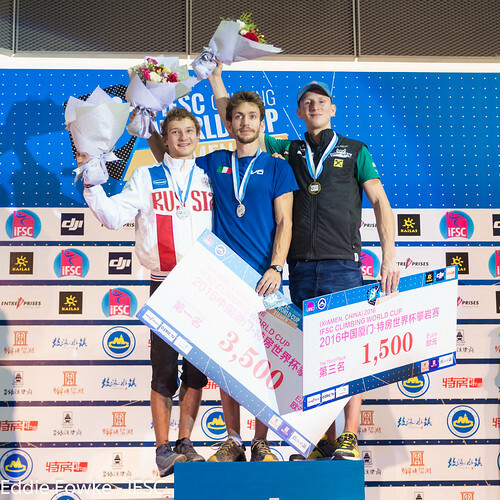 Marcin Dzienski of Poland committed two false starts early in the Finals, but he finished first in the Overall rankings after clinching the title in Wujiang. Ukranian Speed world record holder Danyil Boldyrev finished fifth to place third Overall, but second Overall was left undecided until the final match. 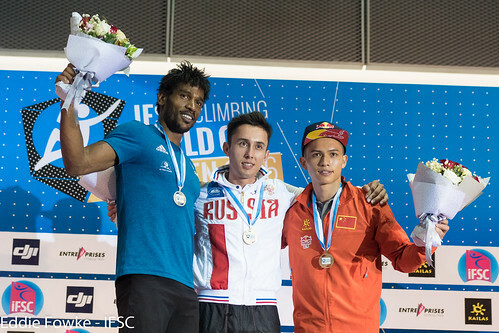 In one of the most thrilling races of the year, three-time season champion Stanislav Kokorin of Russia sneaked past Bassa Mawem of France, touching the top pad one hundredth of a second sooner for Gold. 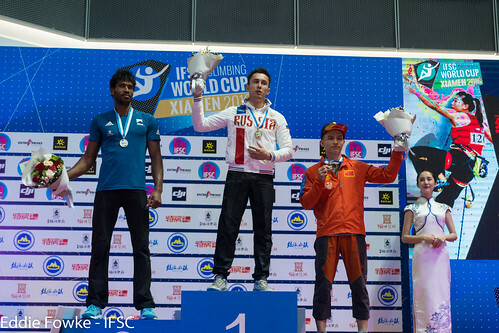 Wujiang victor Qixin Zhong made it two medals for China this week with another close win over Wujiang runner-up Vladislav Deulin of Russia in the small final. 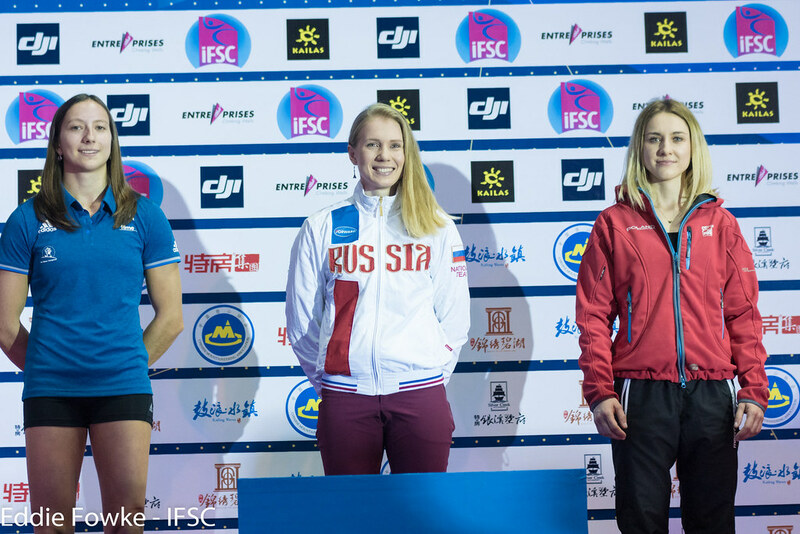 Iuliia Kaplina of Russia and Anouck Jaubert of France have been battling for the top spot in the Overall rankings all season long, and the rivalry continued on Saturday. In the semi-final, Jaubert struggled to find her rhythm against Klaudia Buczek of Poland, balking halfway up the slippery wall, while Kaplina maintained form against her teammate and world champion Anna Tsyganova. 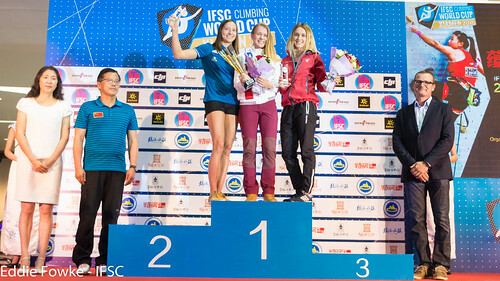 The 7.84 was the best time of the day and sealed her Overall victory, the first in the twenty-three-year-old’s IFSC career. Buczek, never scoring below eight or above nine seconds, continued her steady pace in the final race, besting the season champion for her first Gold and third place in the Overall. In the small final, Tsyganova edged Jaubert by eight hundredths of a second for Bronze. 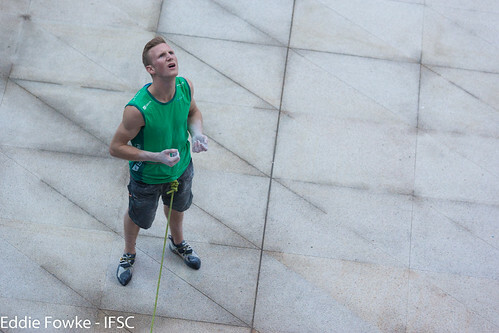 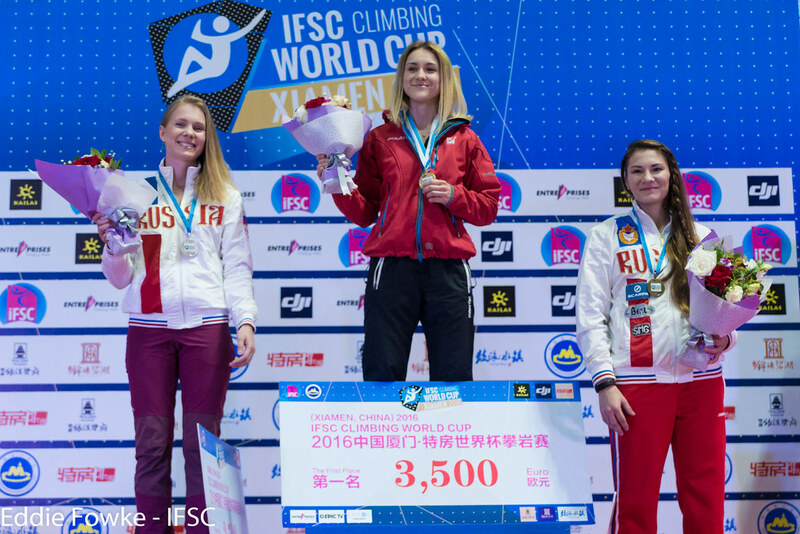 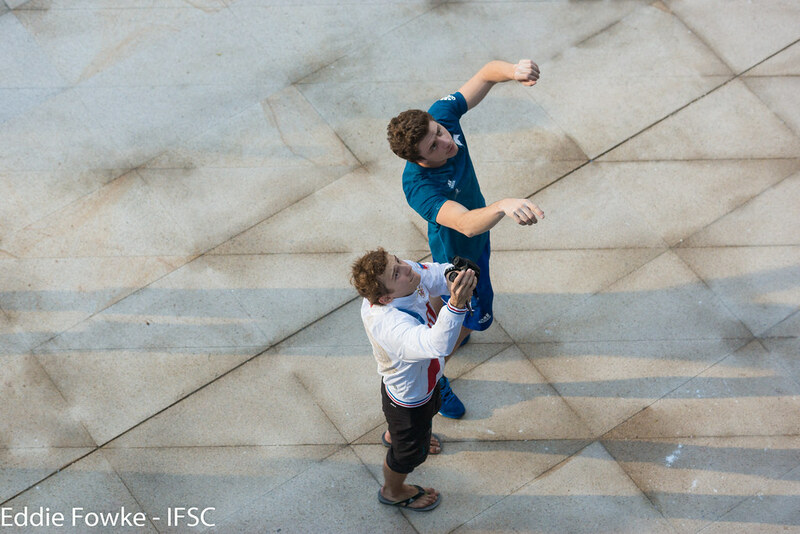 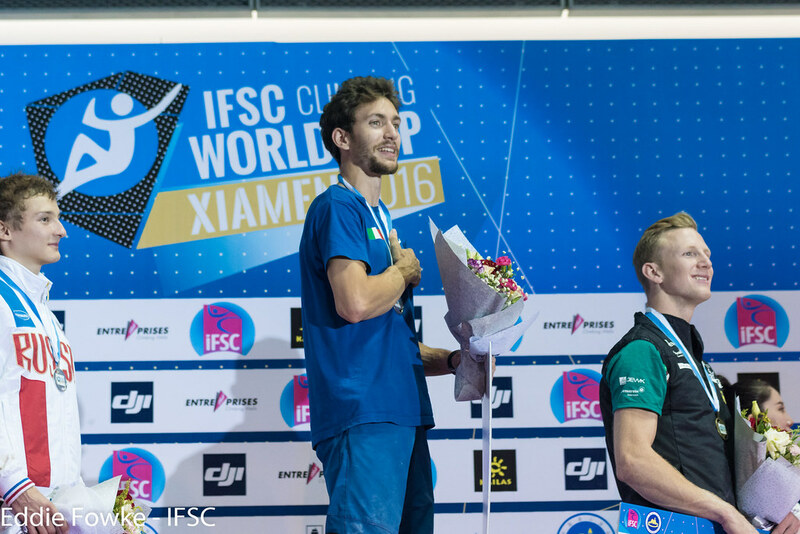 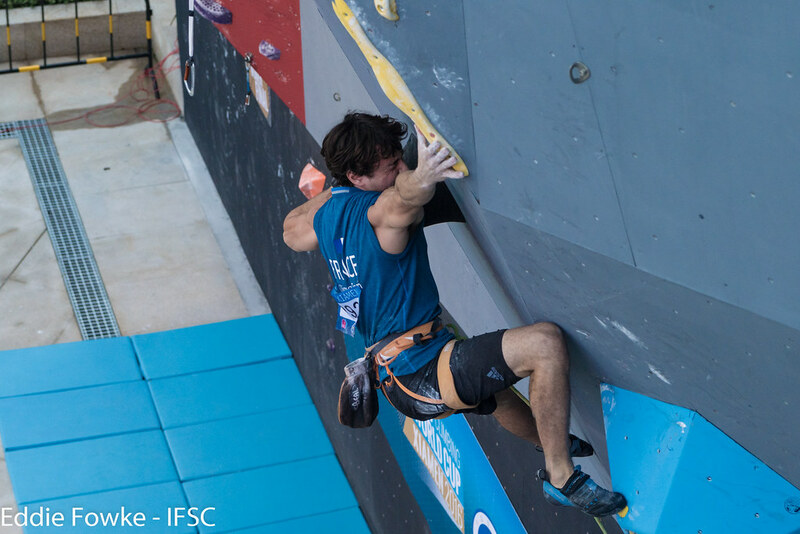 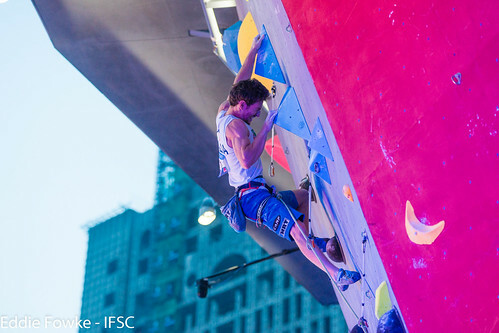 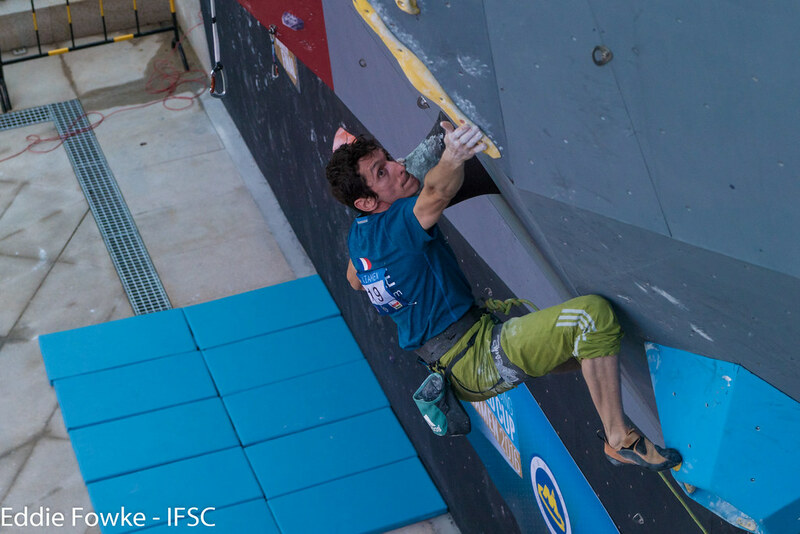 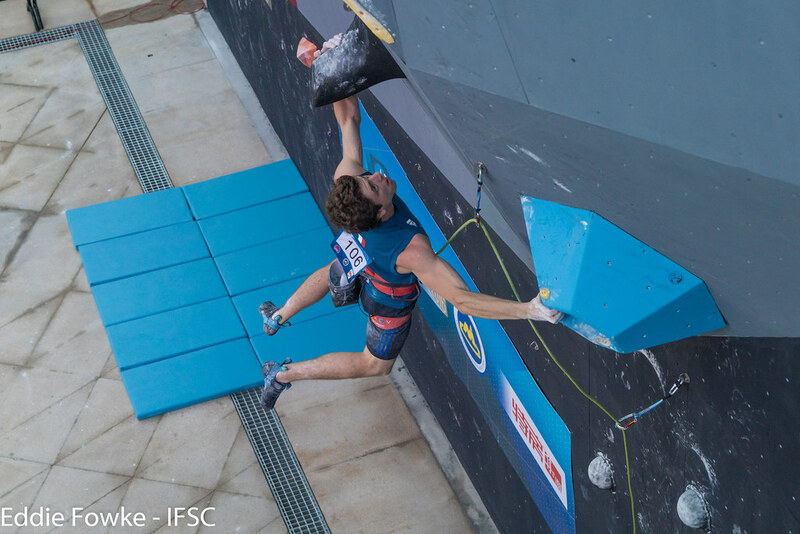 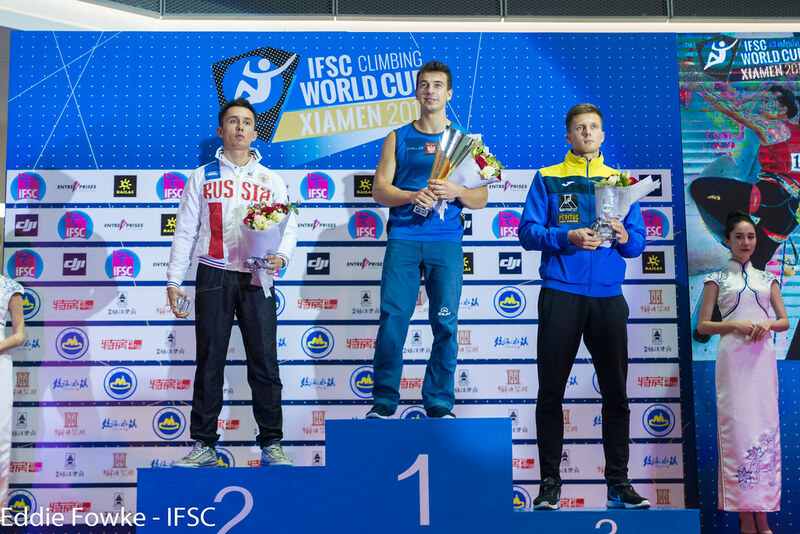 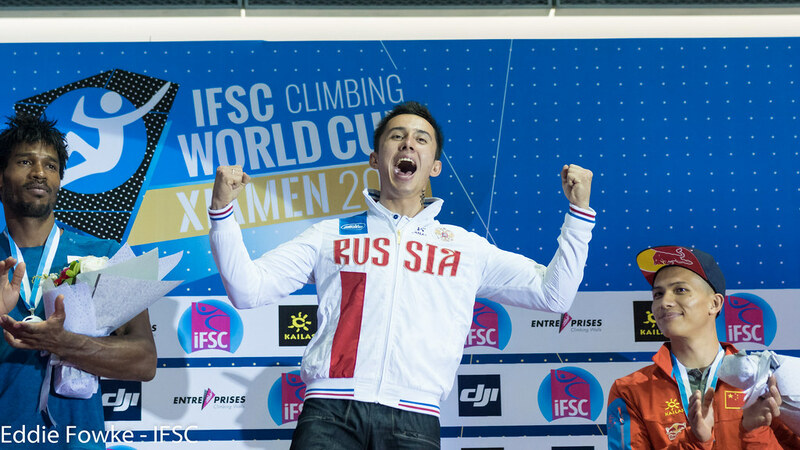 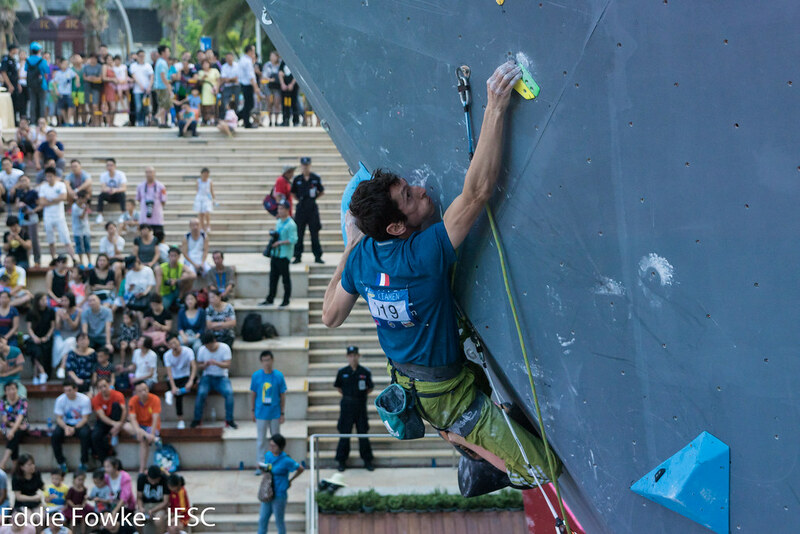 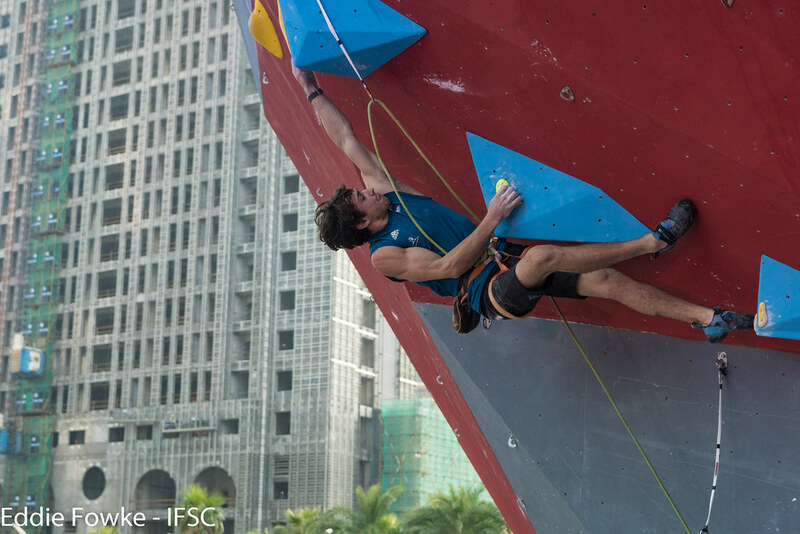 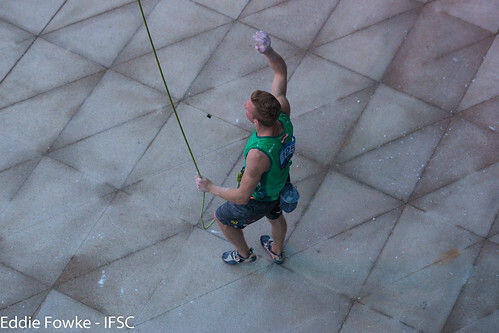 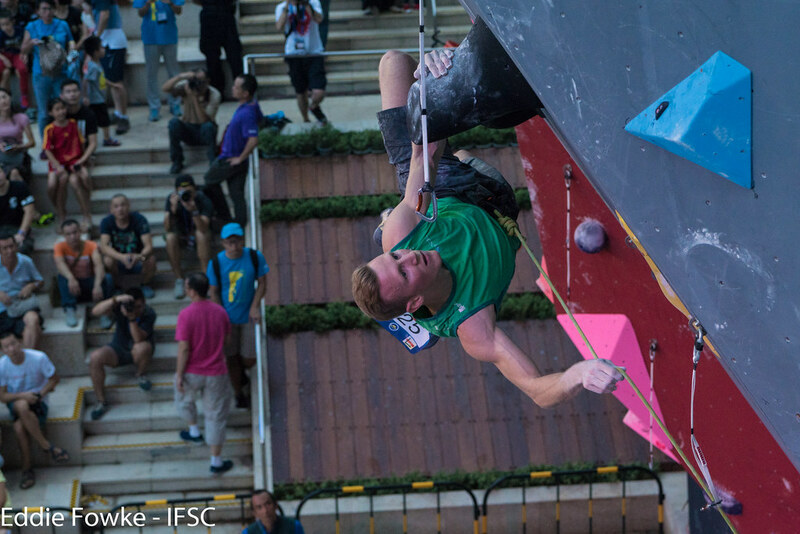 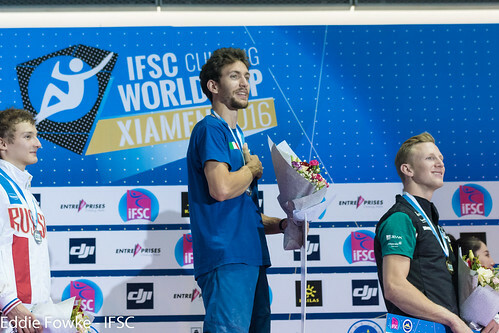 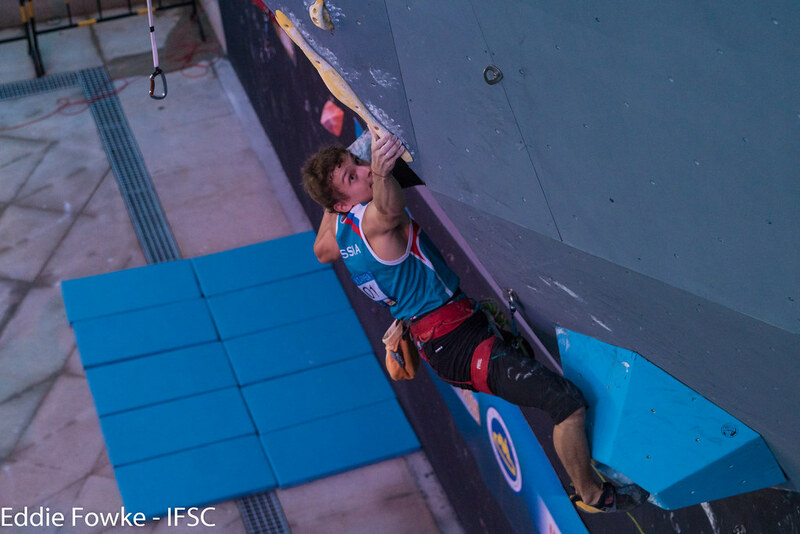 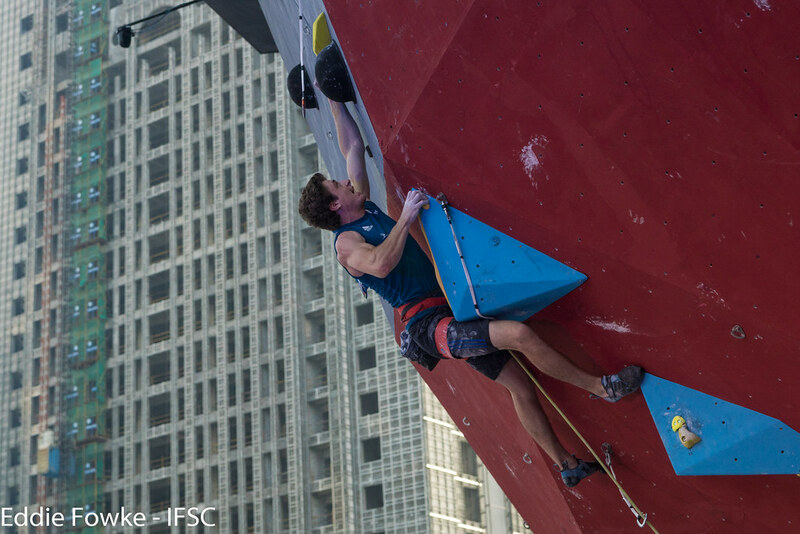 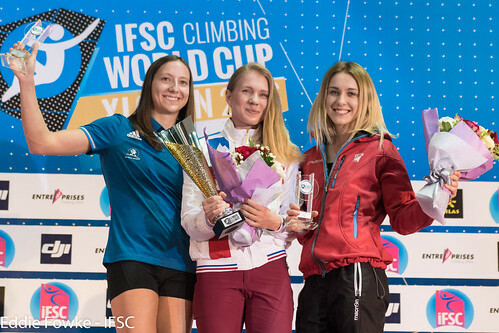 It was still an incredible season for Jaubert, who finished second Overall and set an IFSC record with four IFSC Speed World Cup wins. 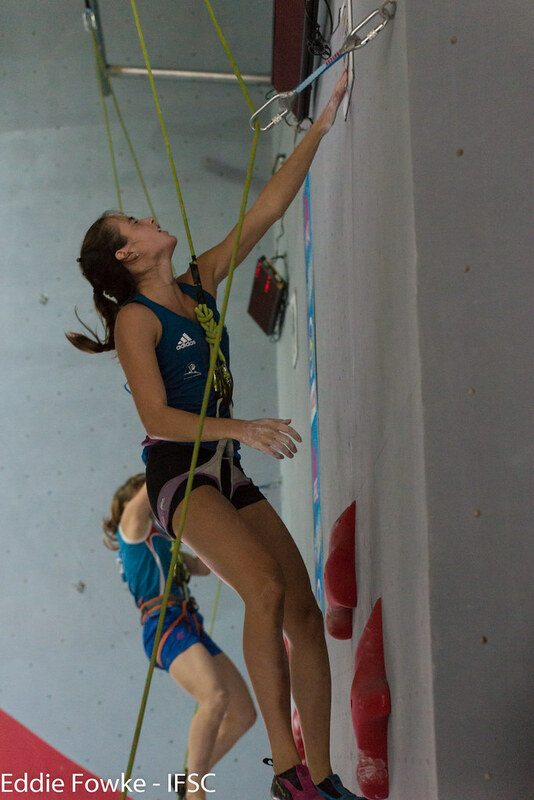 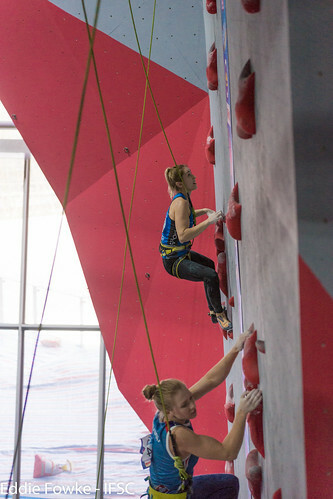 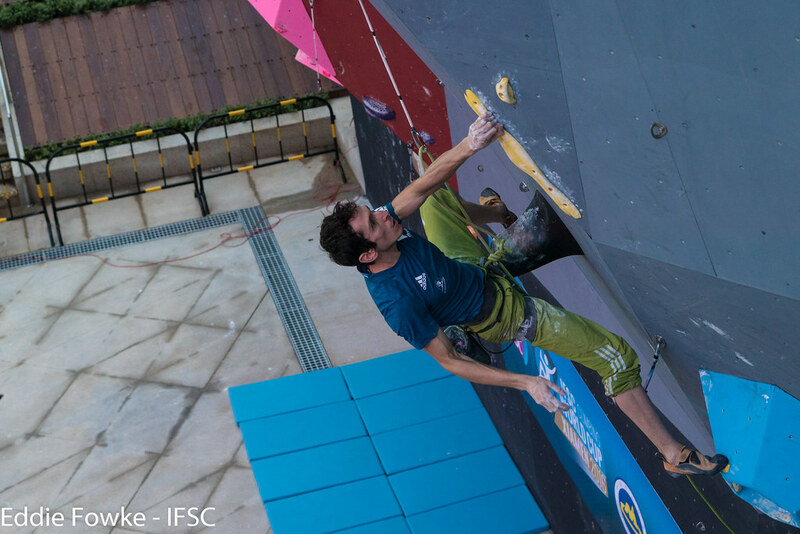 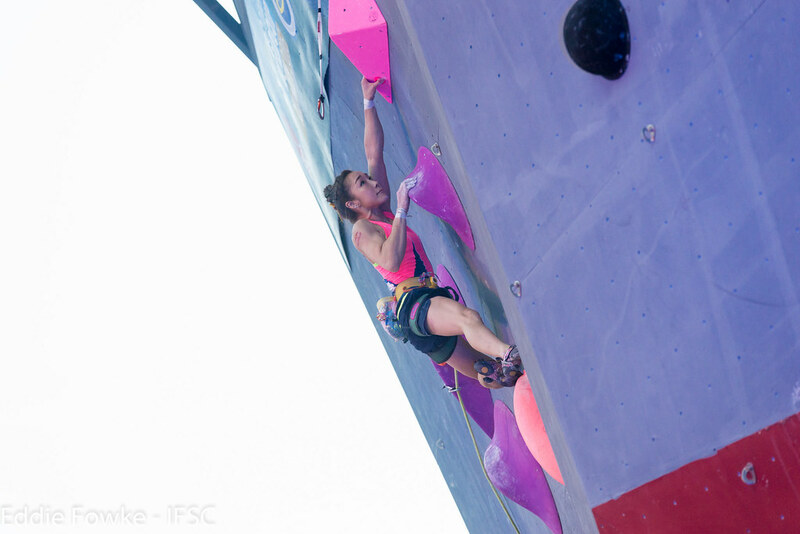 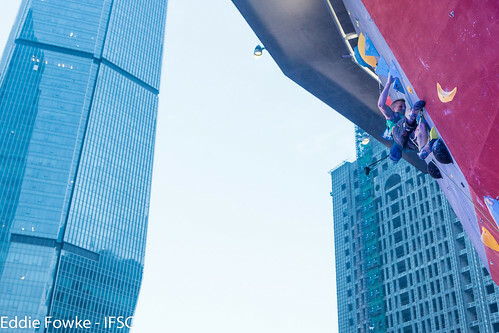 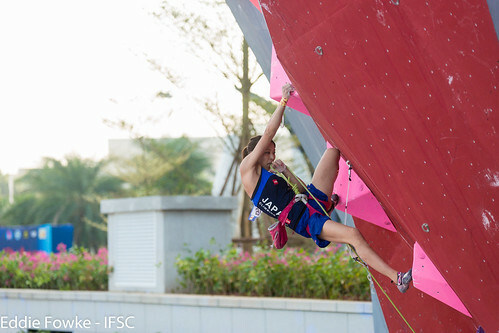 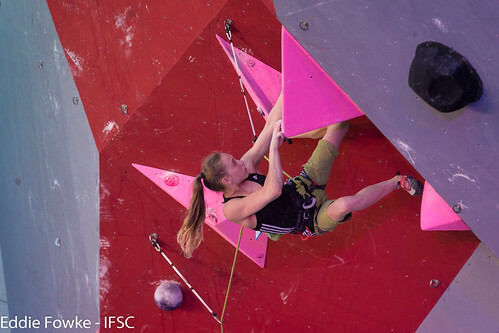 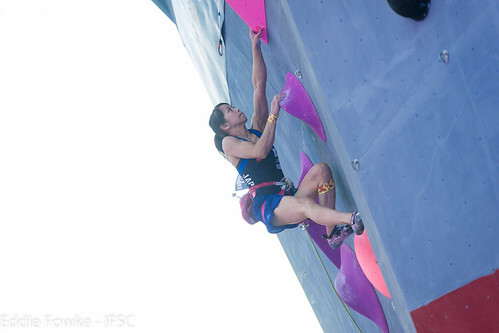 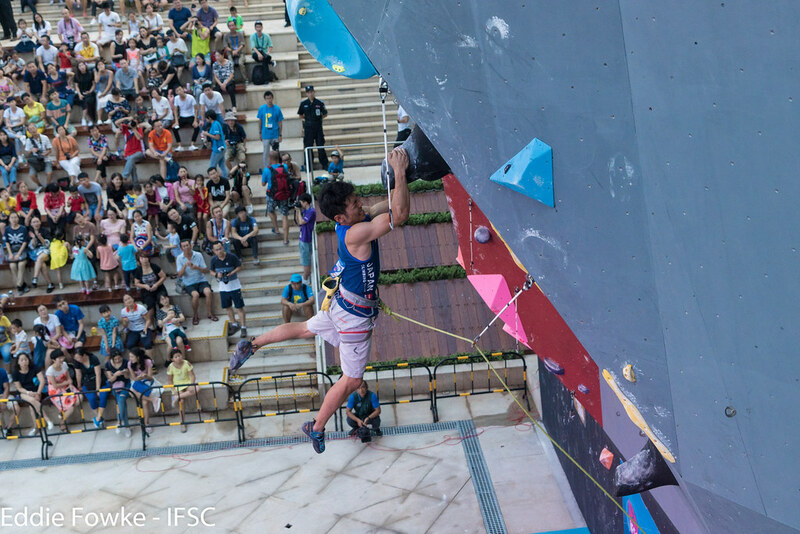 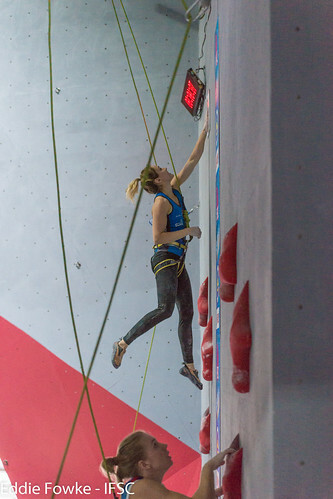 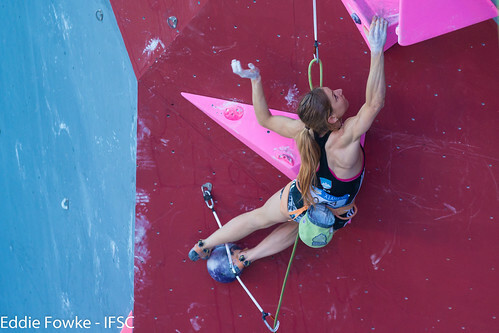 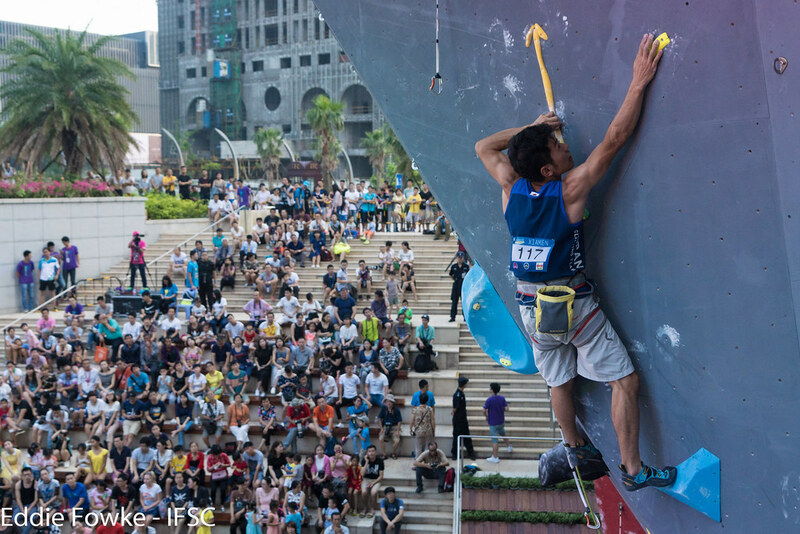 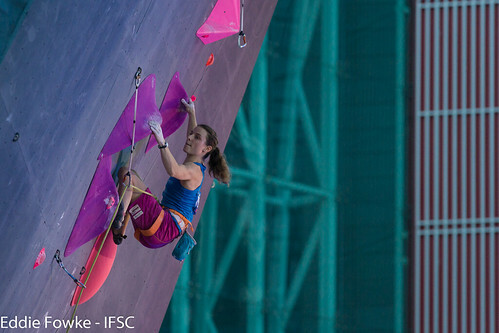 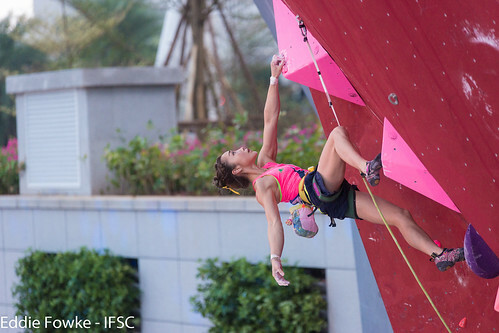 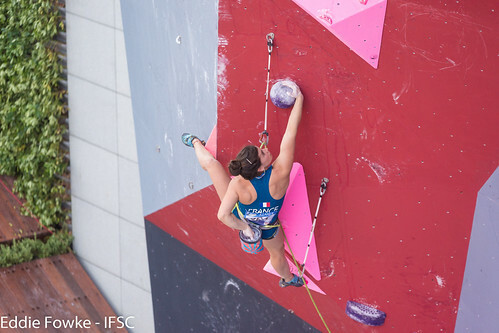 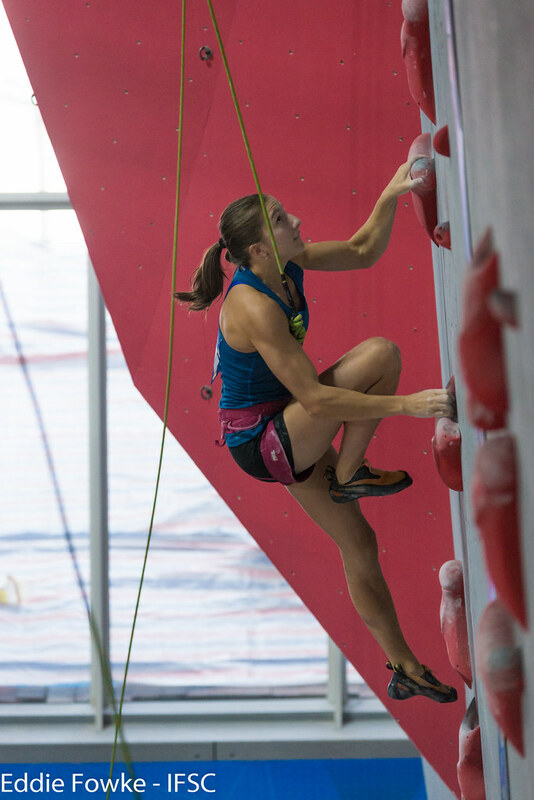 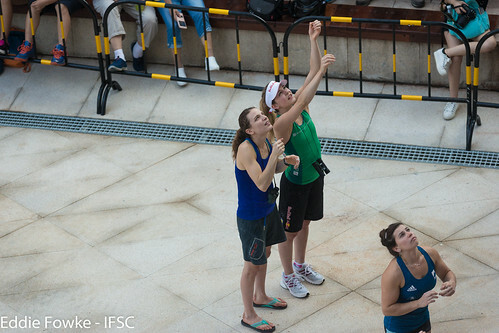 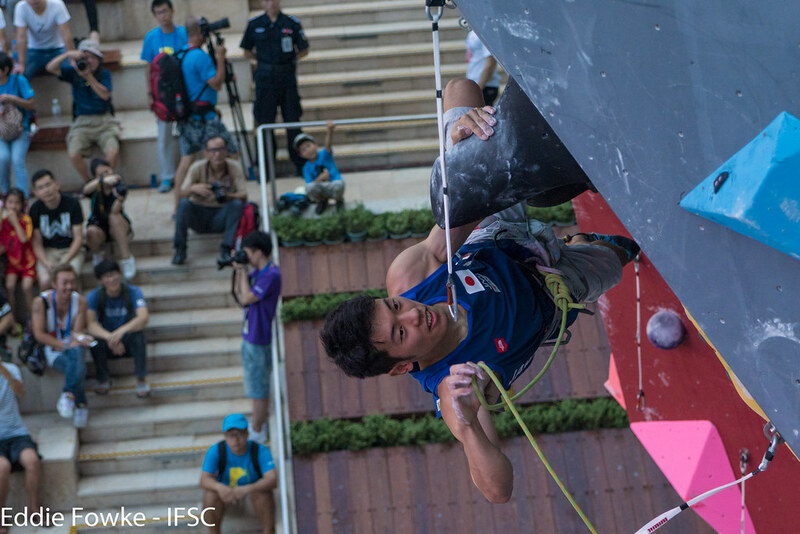 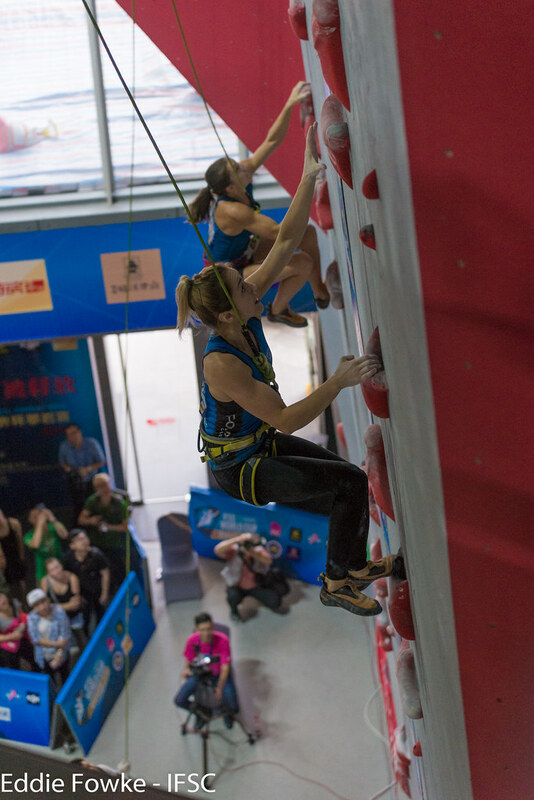 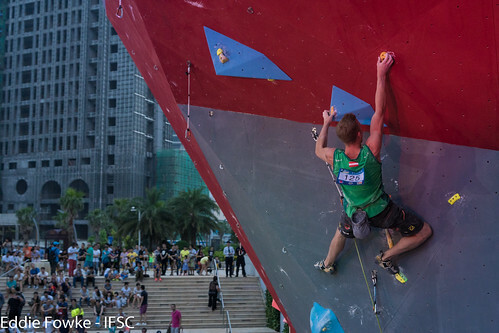 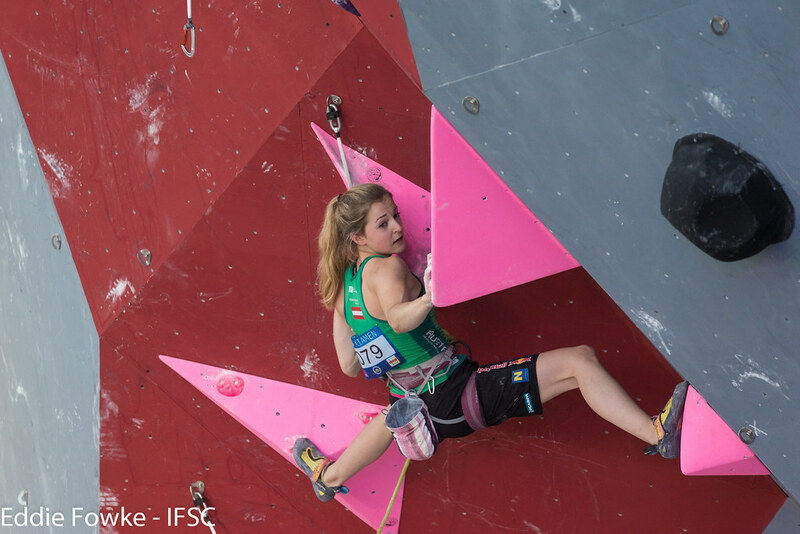 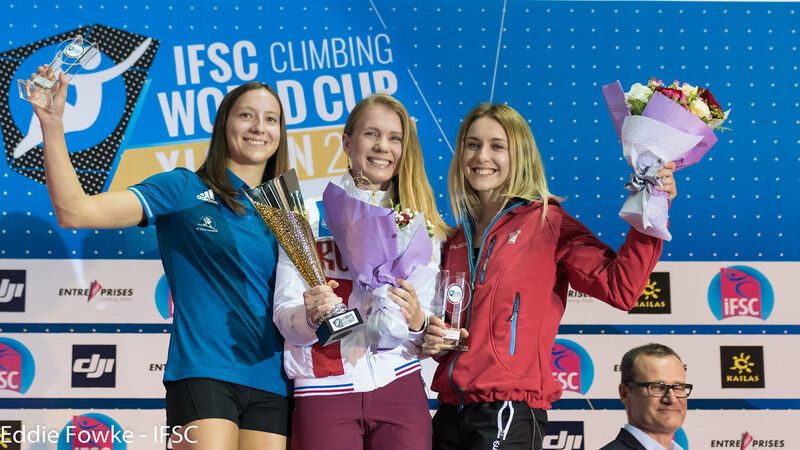 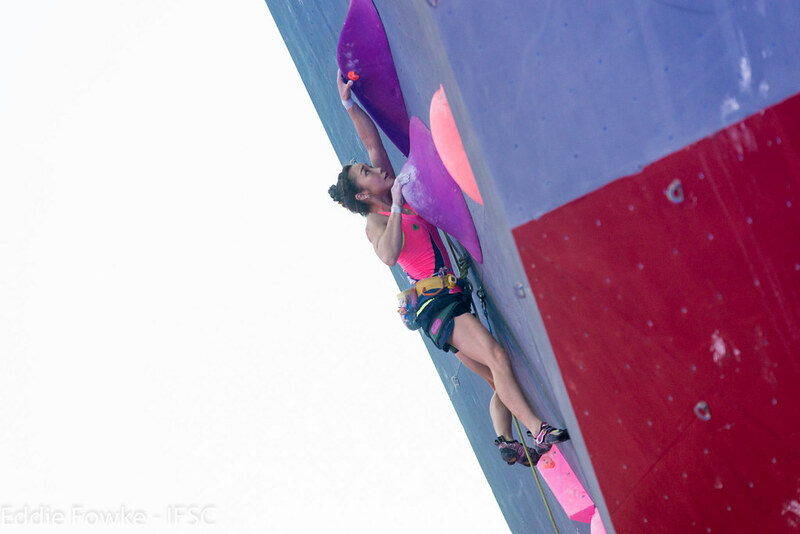 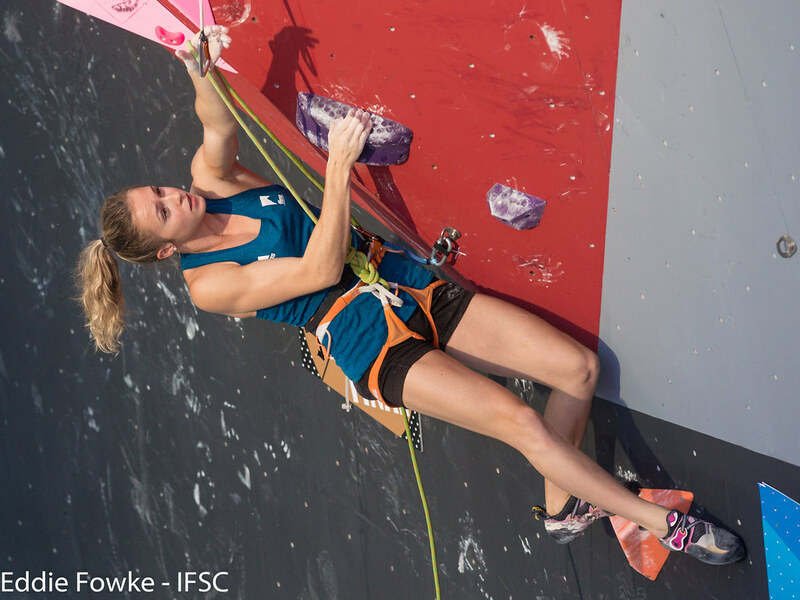 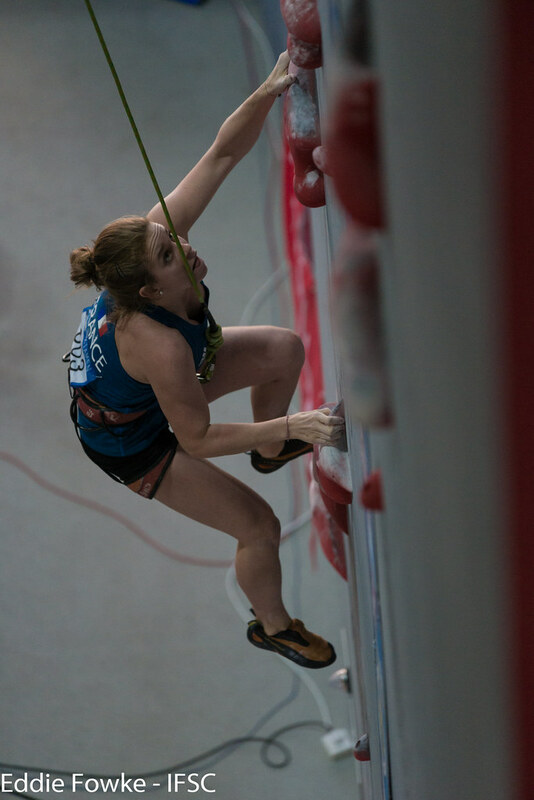 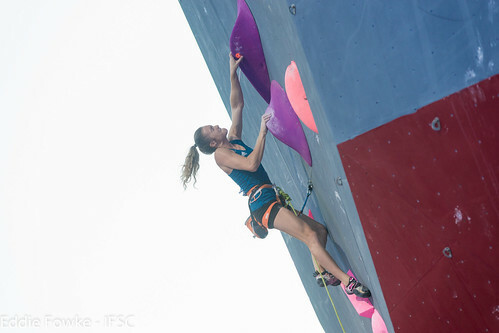 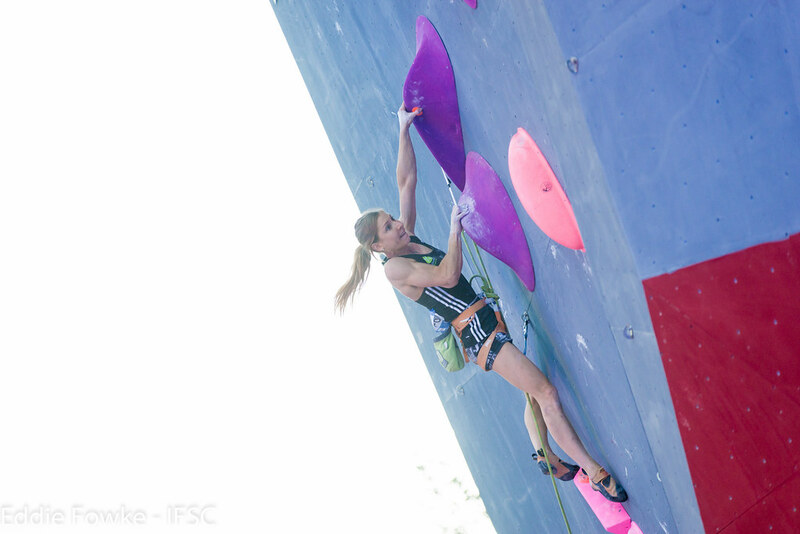 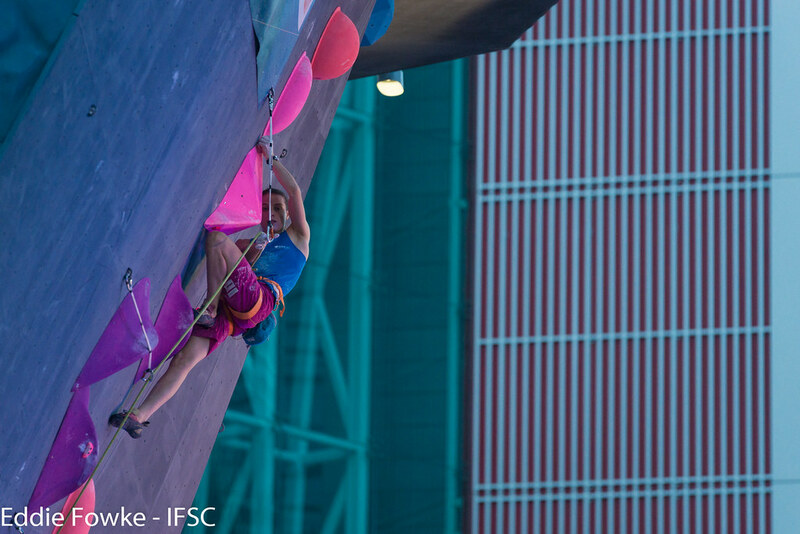 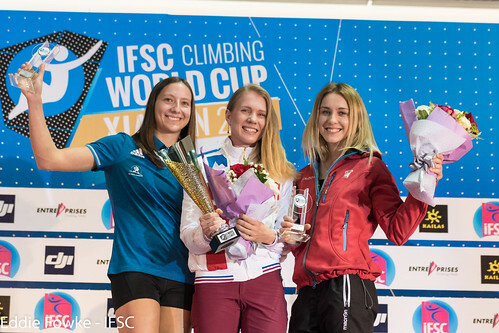 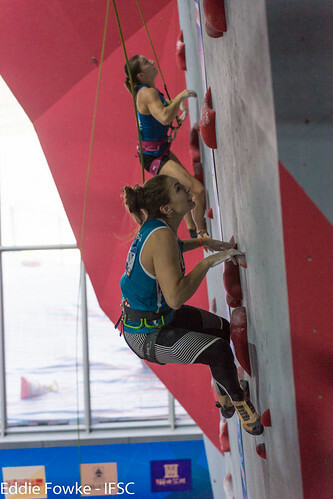 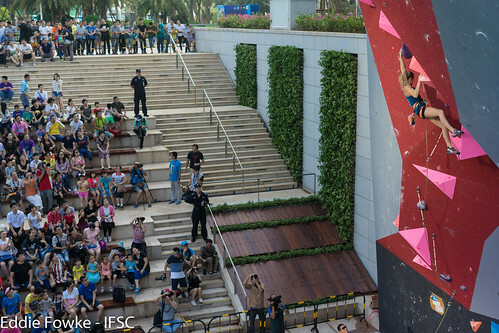 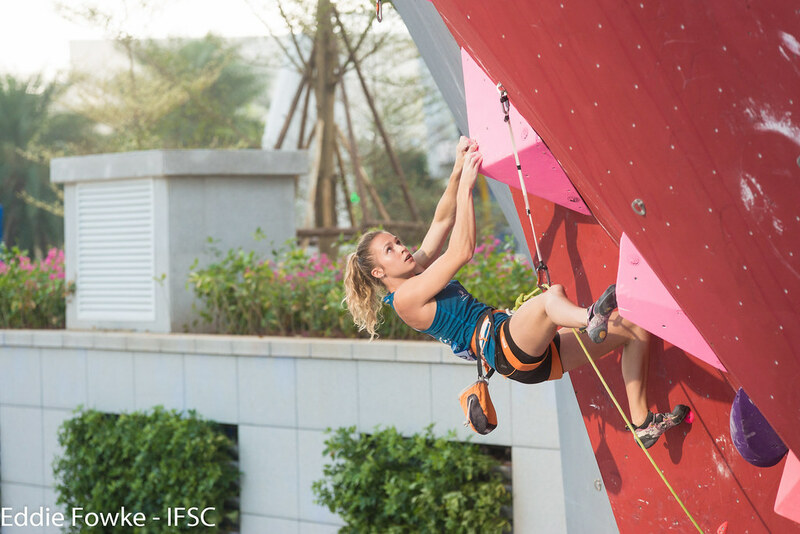 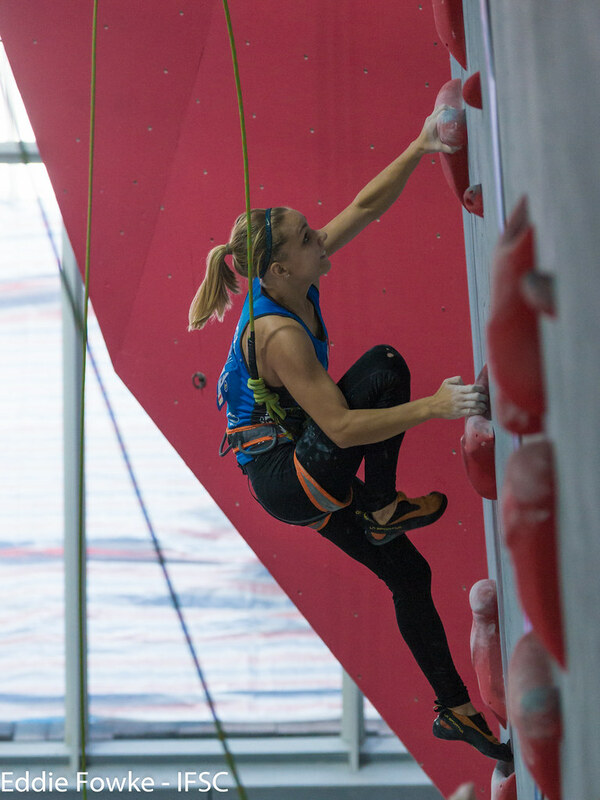 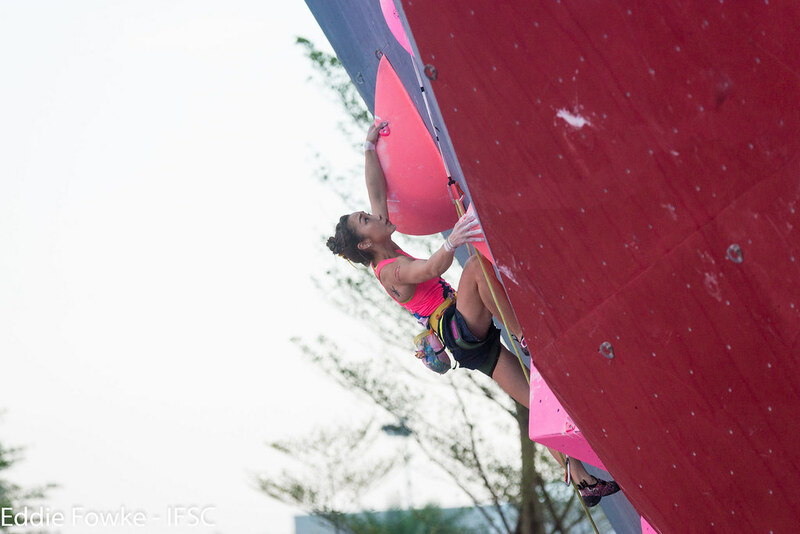 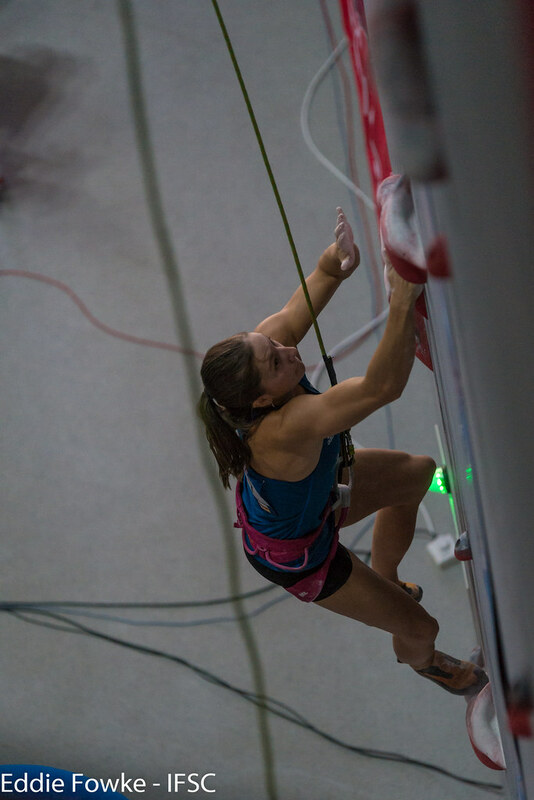 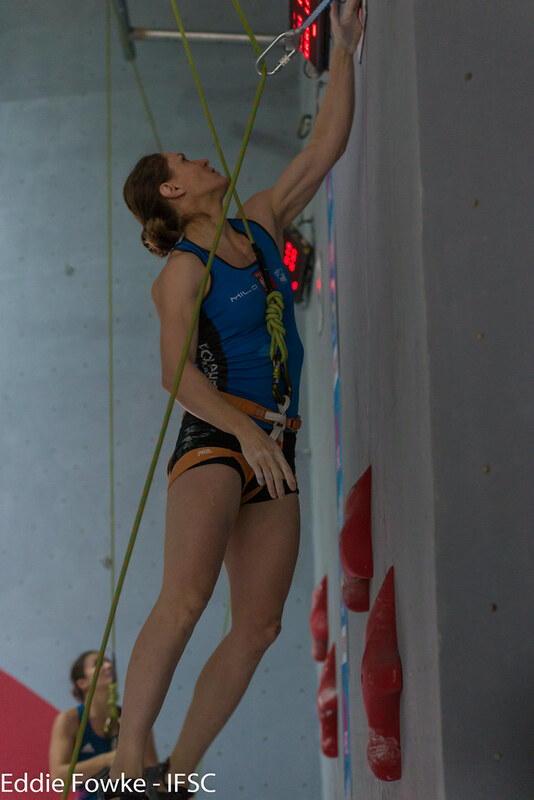 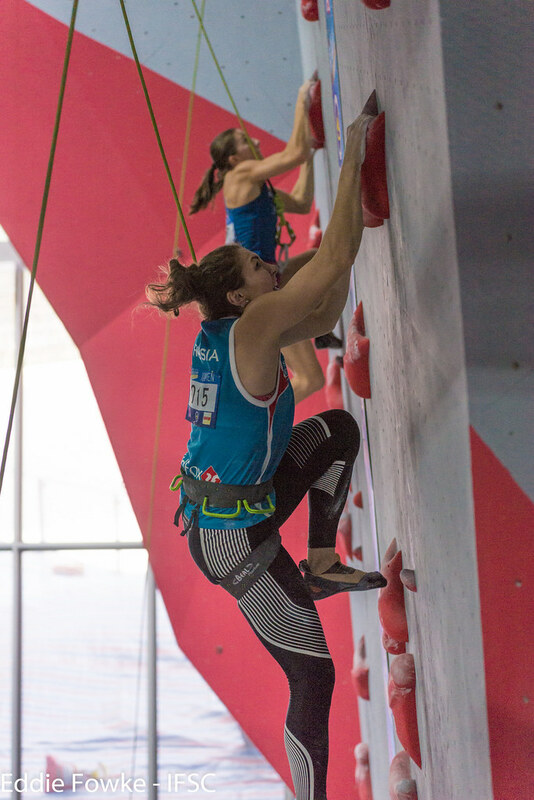 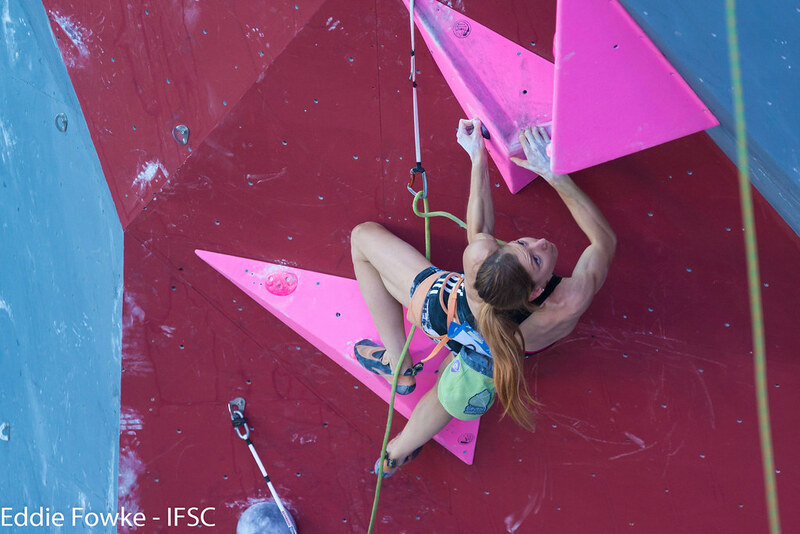 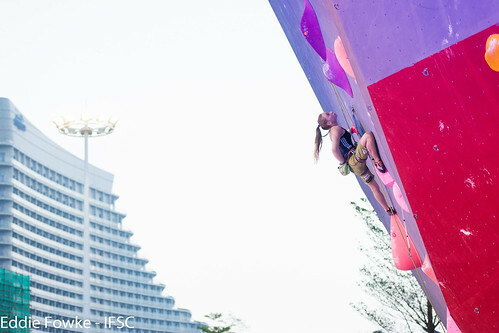 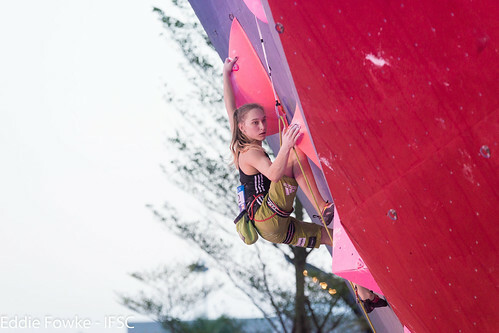 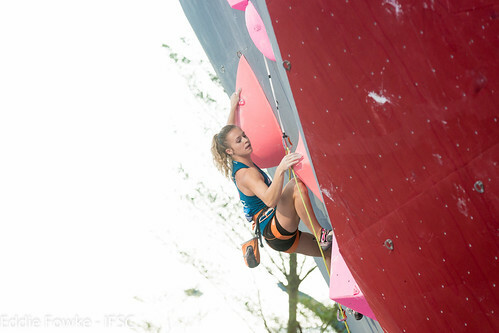 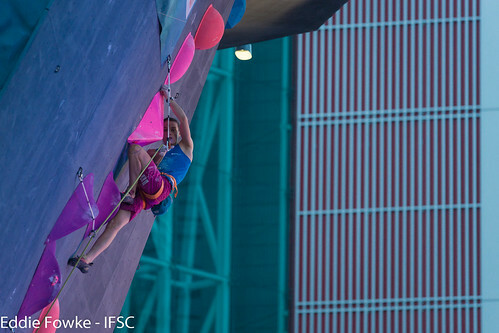 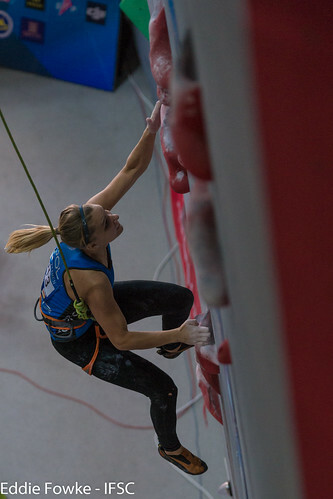 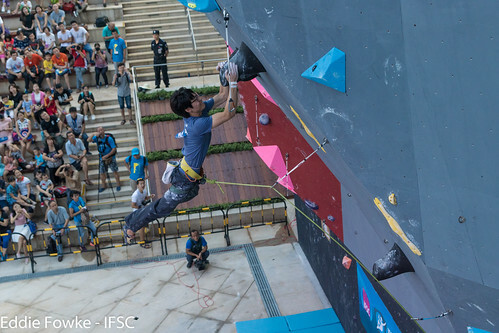 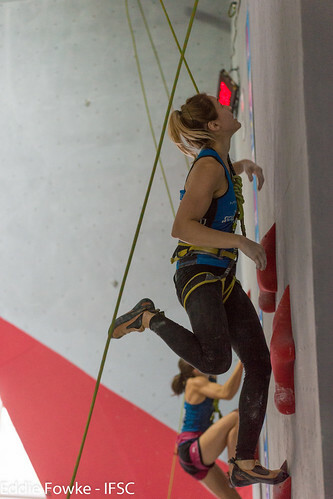 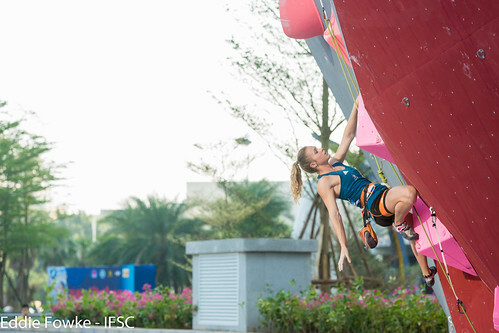 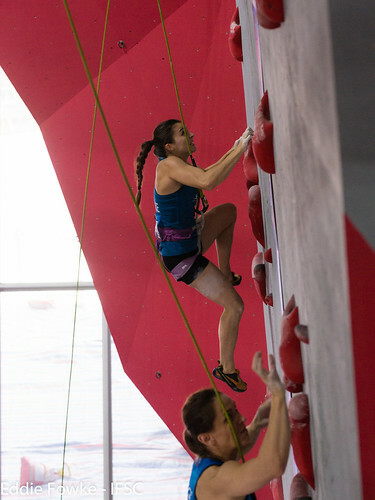 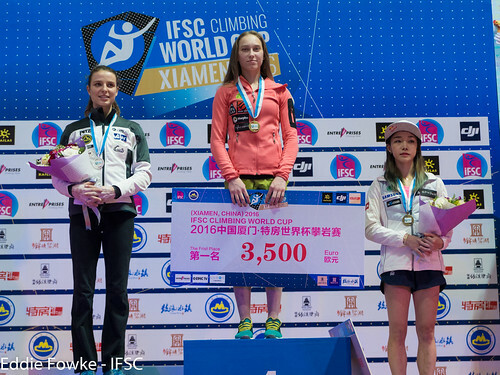 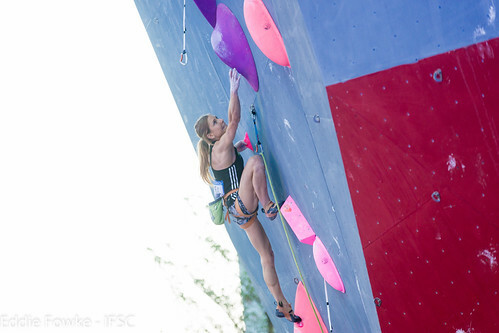 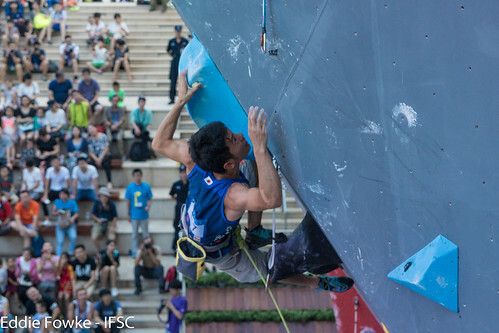 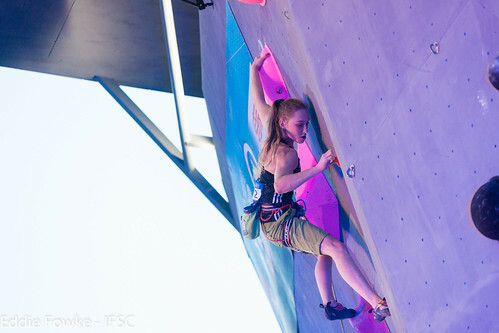 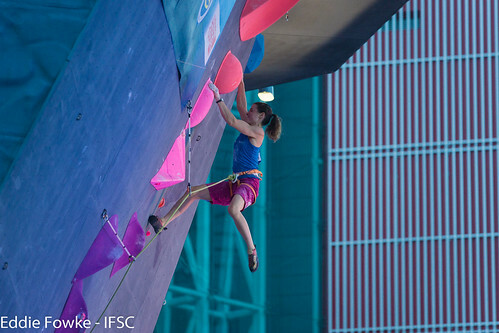 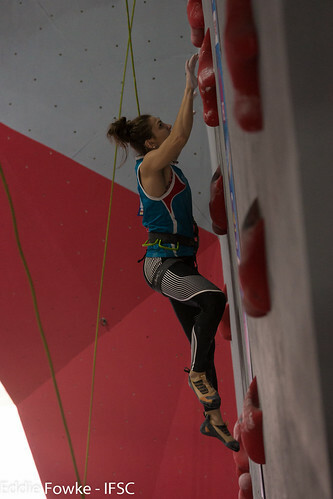 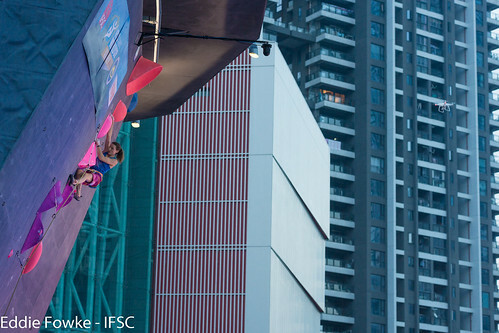 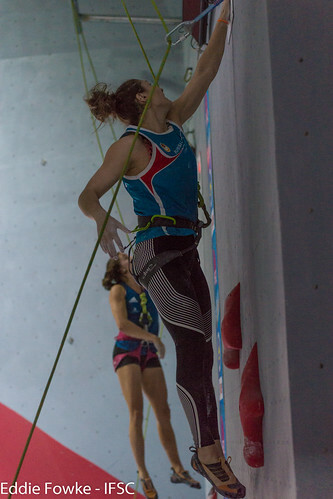 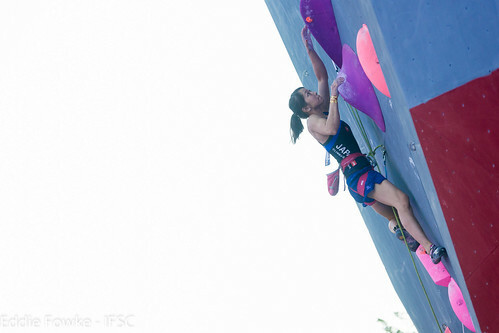 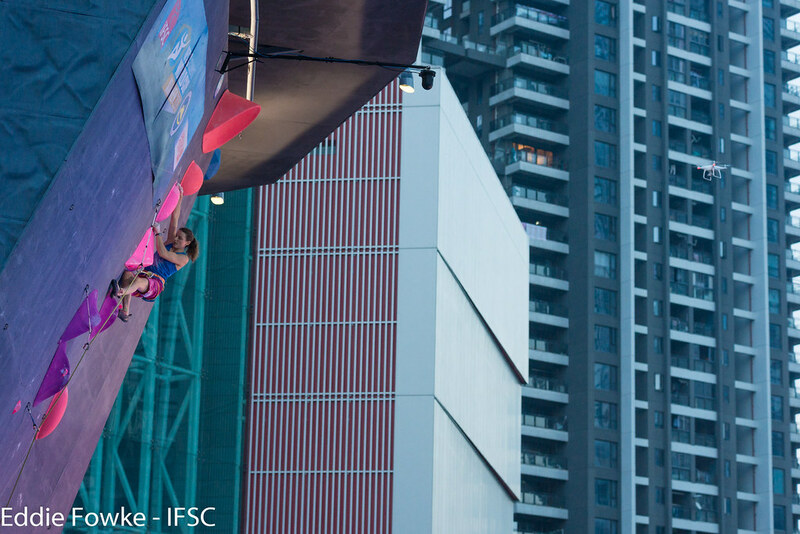 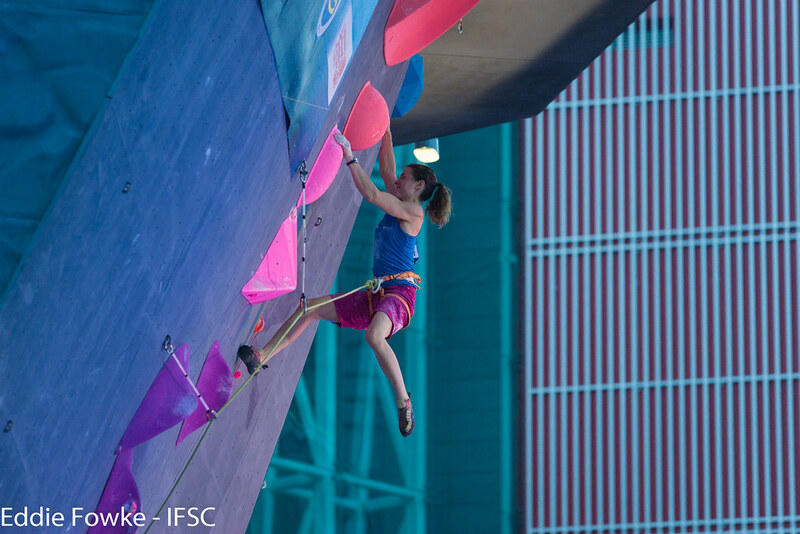 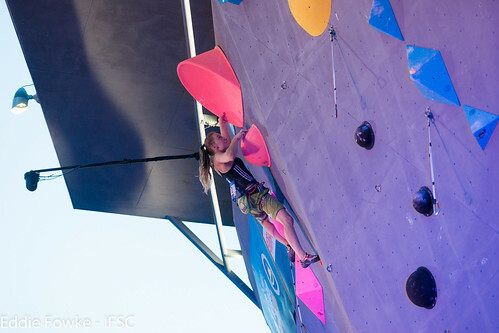 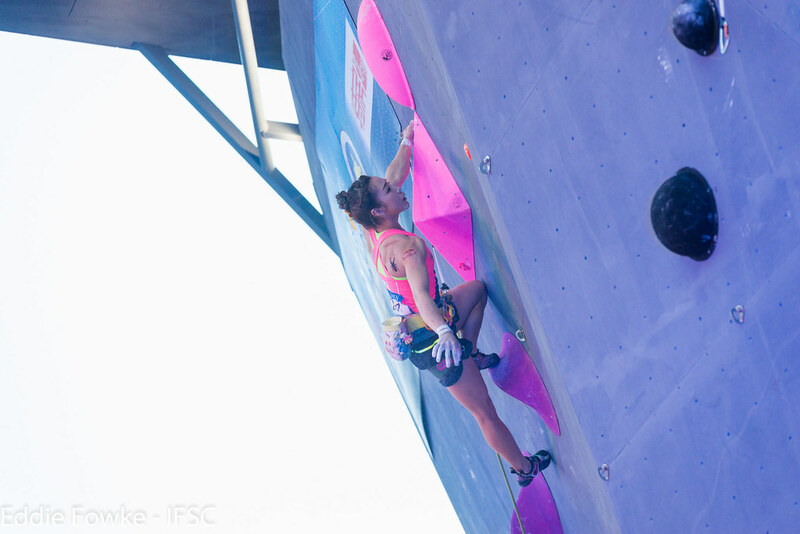 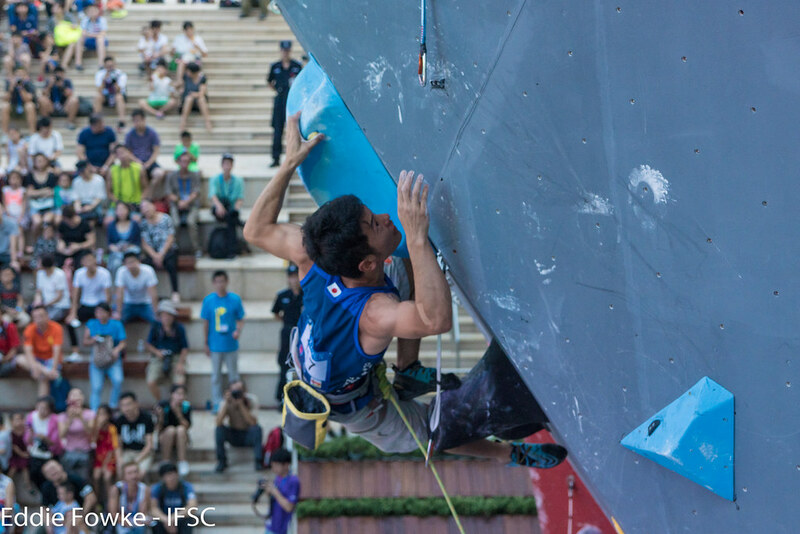 The sixth IFSC Lead World Cup took place outside in hot and humid conditions, making the slopers on the latter half of the Women’s Finals route even more challenging. 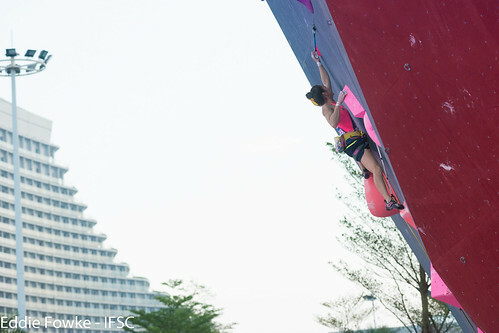 Japan Bouldering star Akiyo Noguchi took an early lead by enduring the pump a few moves from the top, but the last three climbers surpassed her mark. 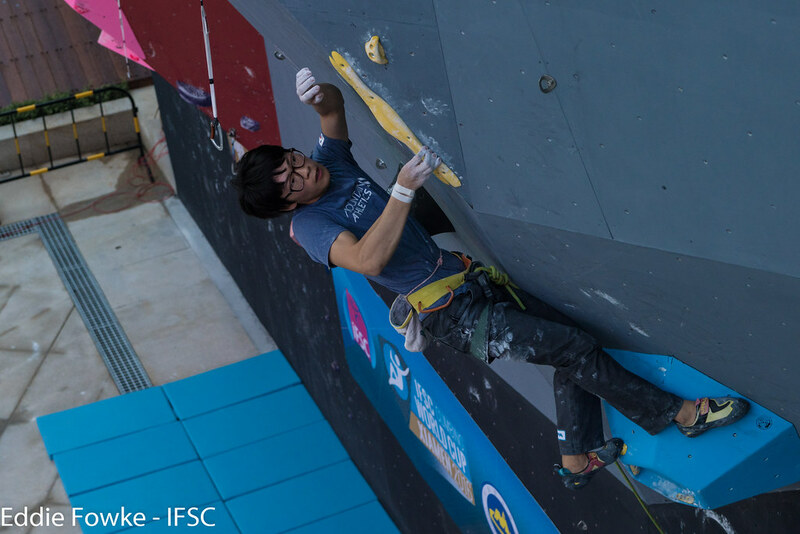 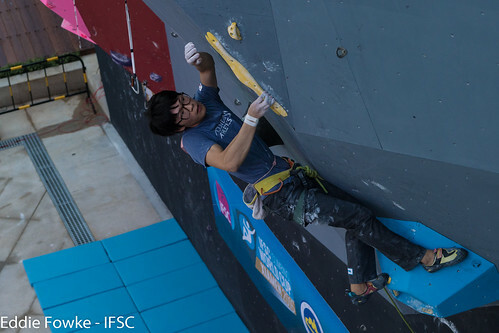 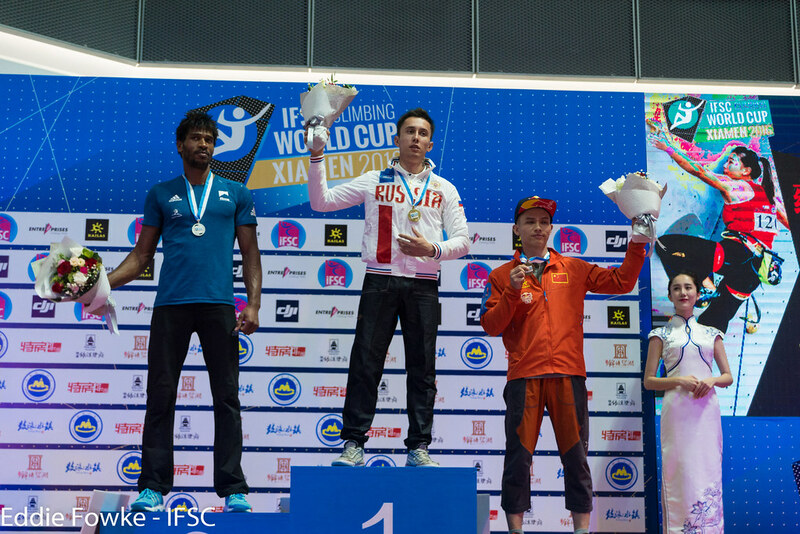 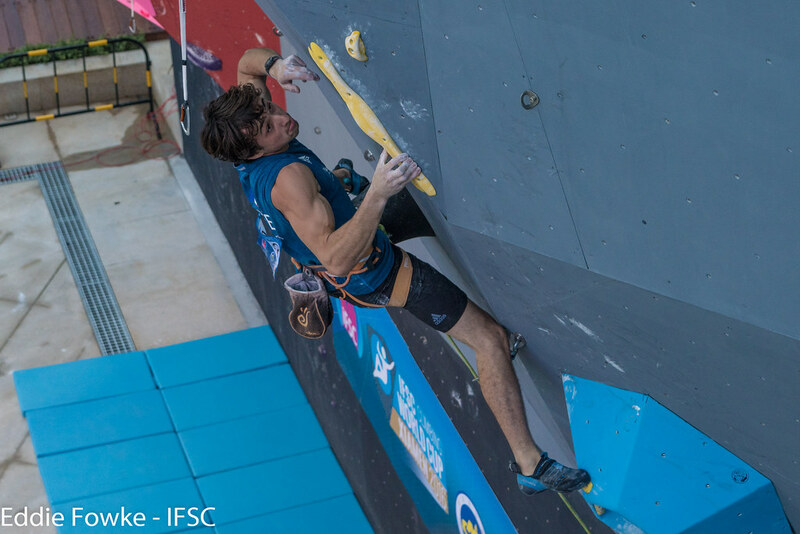 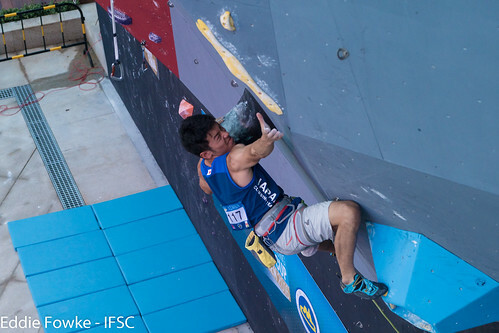 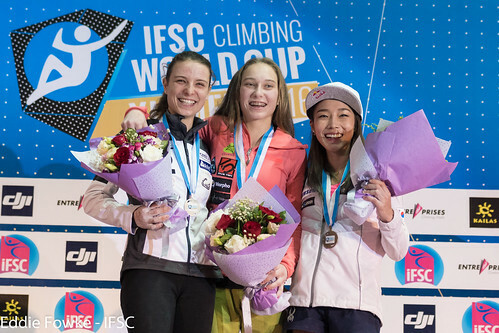 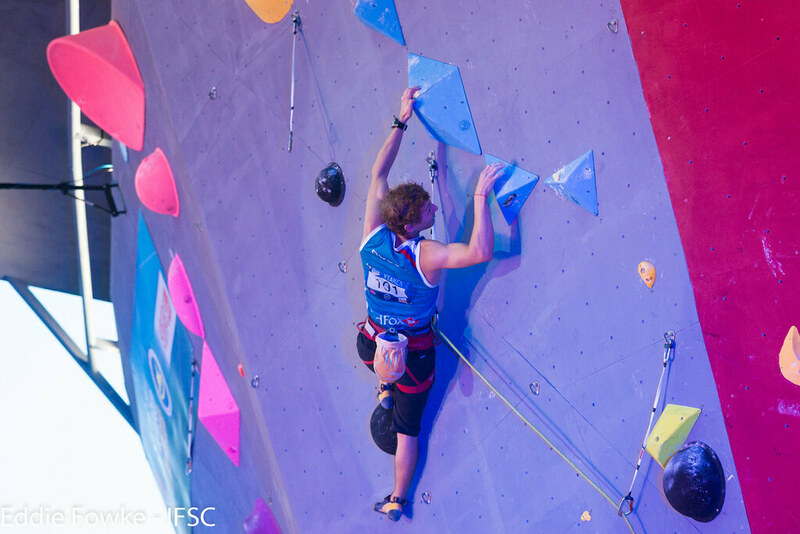 Both Jain Kim of Korea and Anak Verhoeven of Belgium slapped sweaty hands on the penultimate sloper before falling, with Verhoeven placing better due to a countback to Semi-Finals. 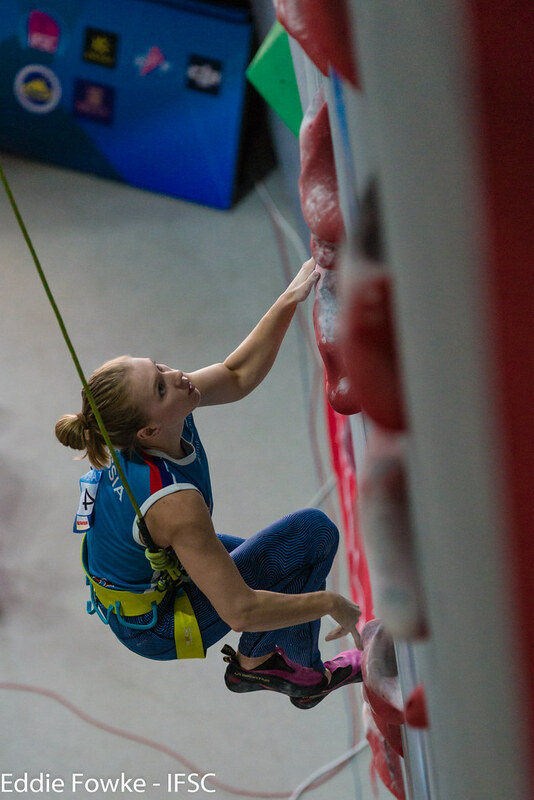 At the end, Slovenian Janja Garnbret pleased the crowd by catching the tiny screw-on at the top of the hold for her fourth Gold of the season. 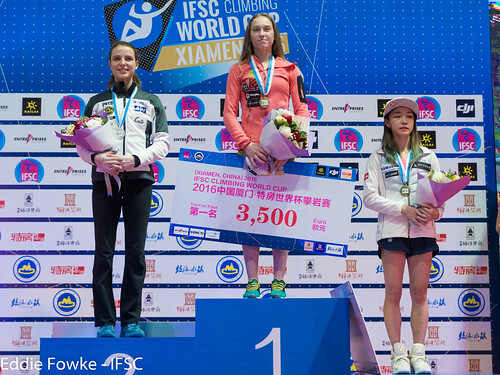 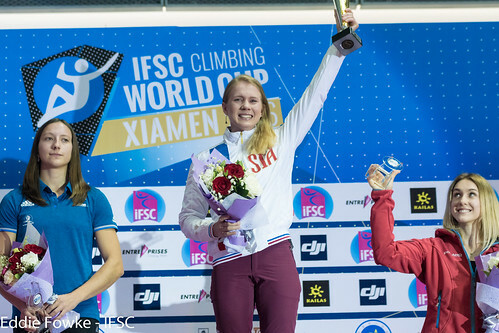 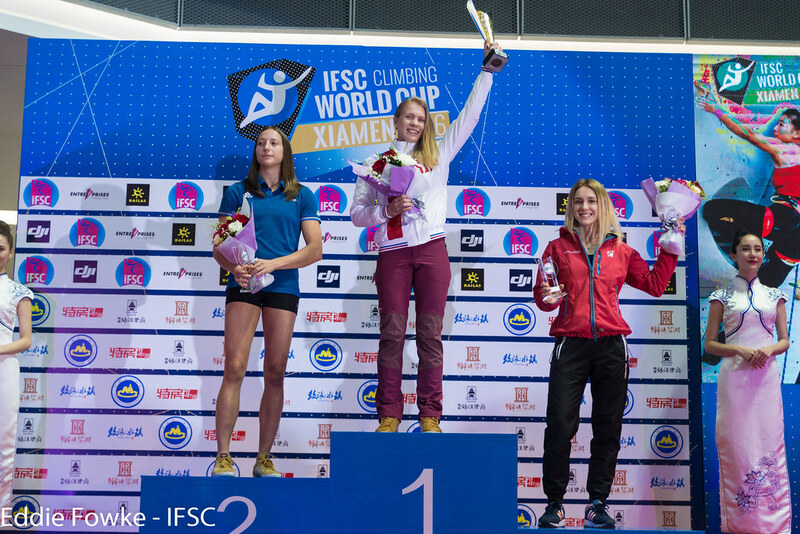 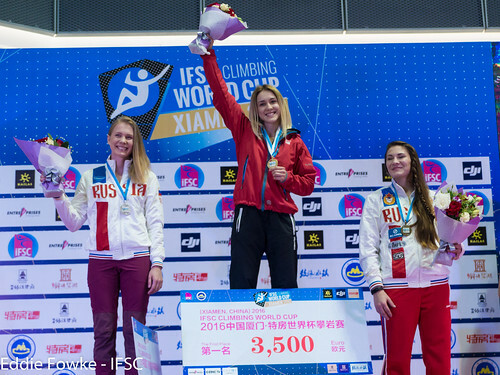 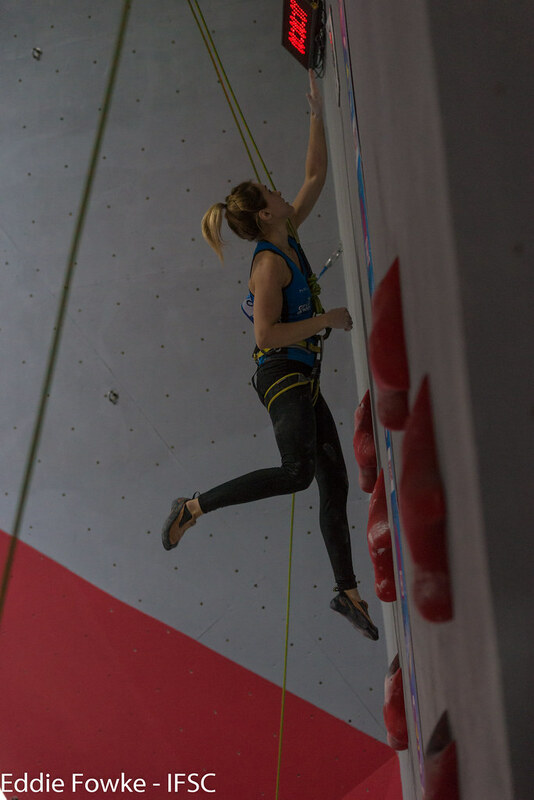 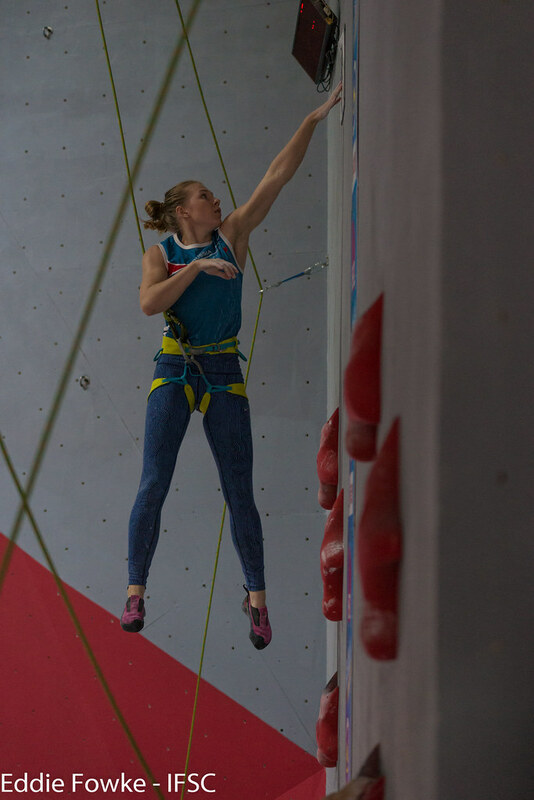 Her inspiring climb also secured first place in the Overall rankings, only weeks after claiming the world title at the IFSC World Championships in Paris. 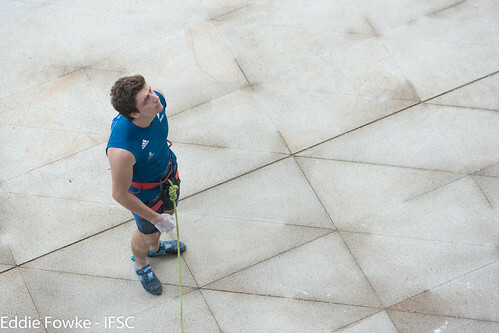 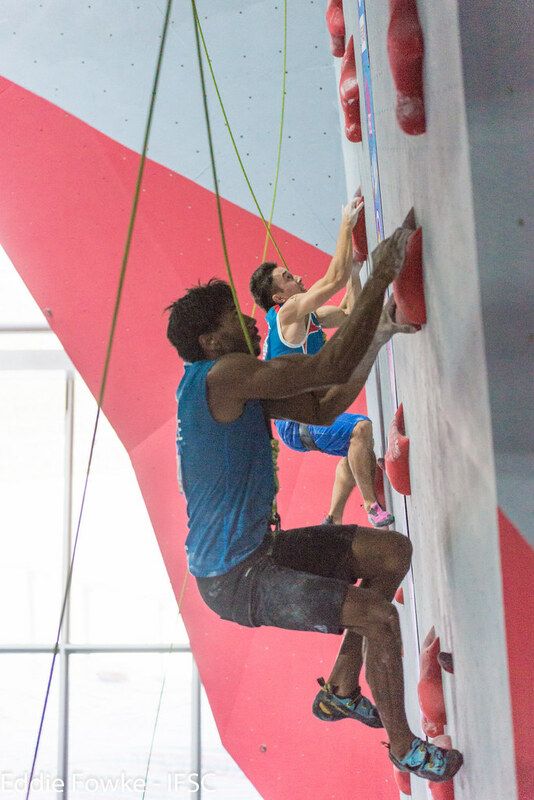 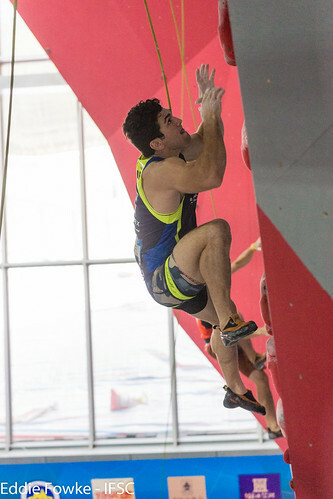 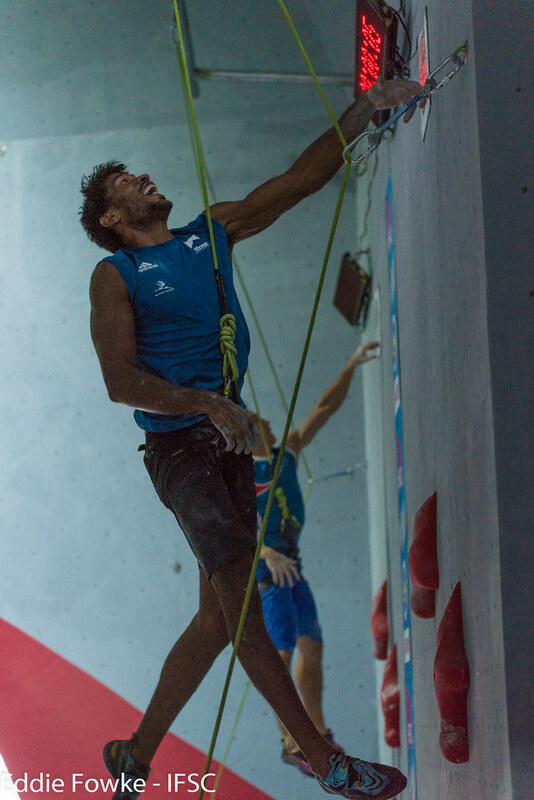 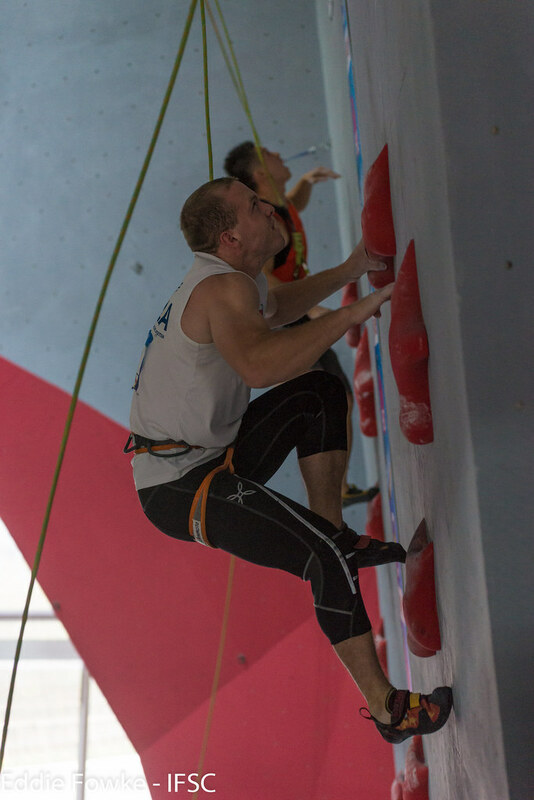 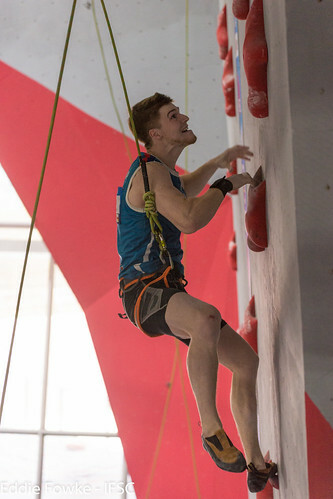 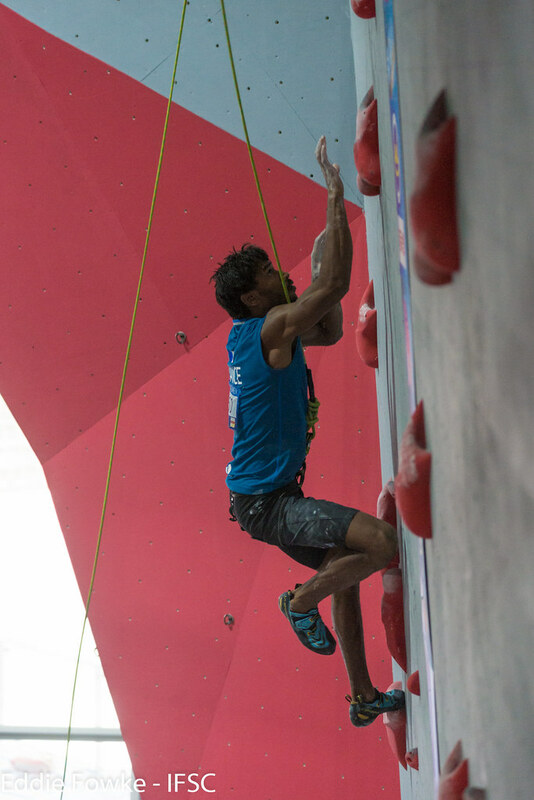 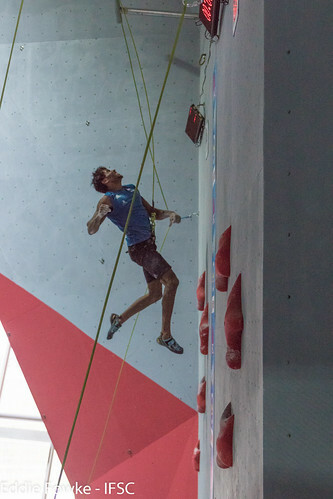 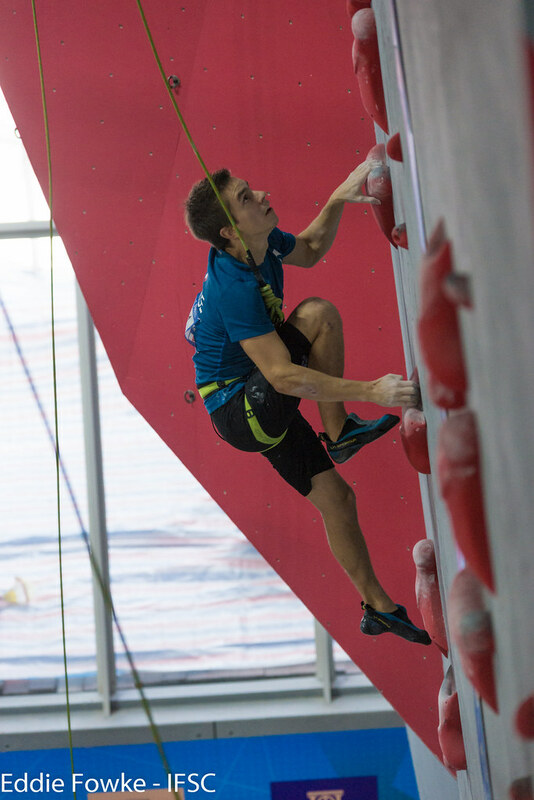 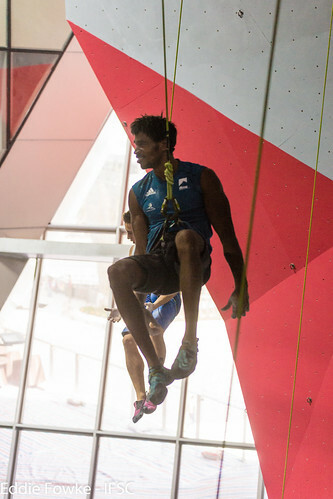 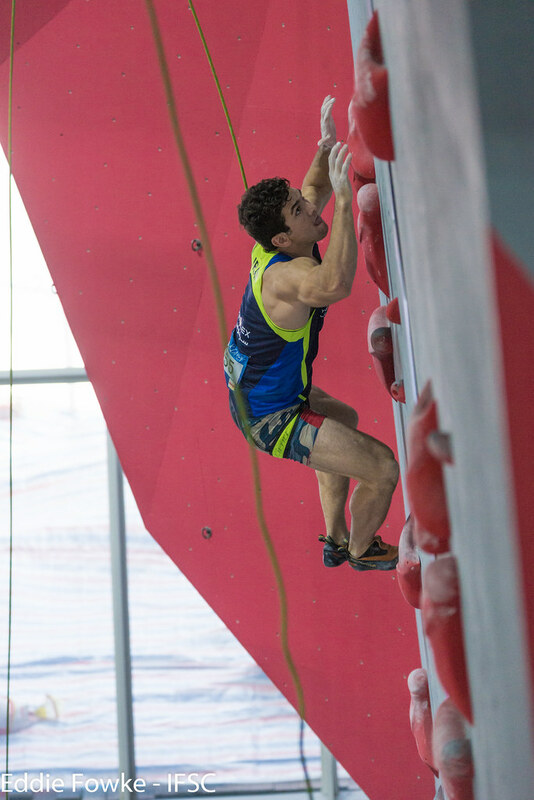 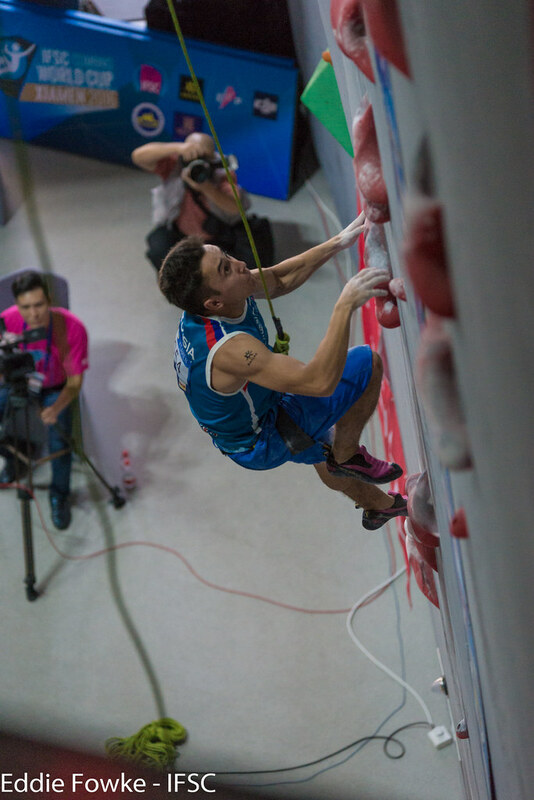 A dynamic start to the Men’s Finals route stumped a couple finalists, but many Athletes attempted the crimps which followed. 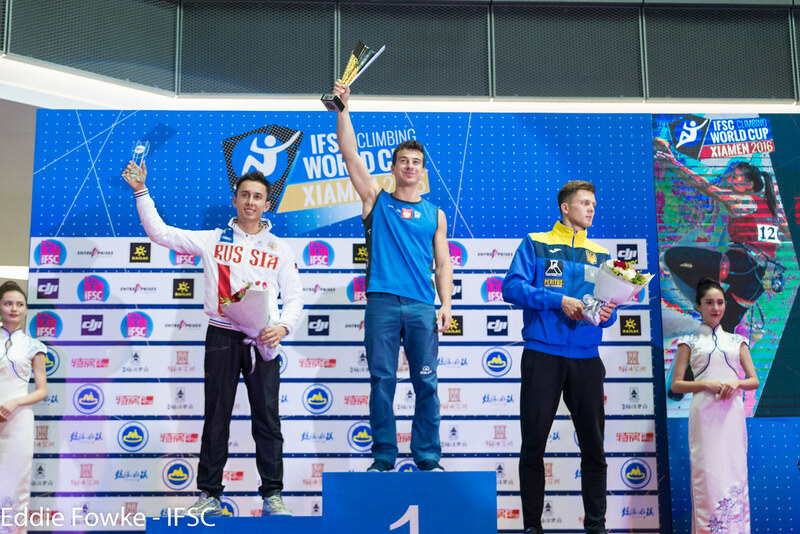 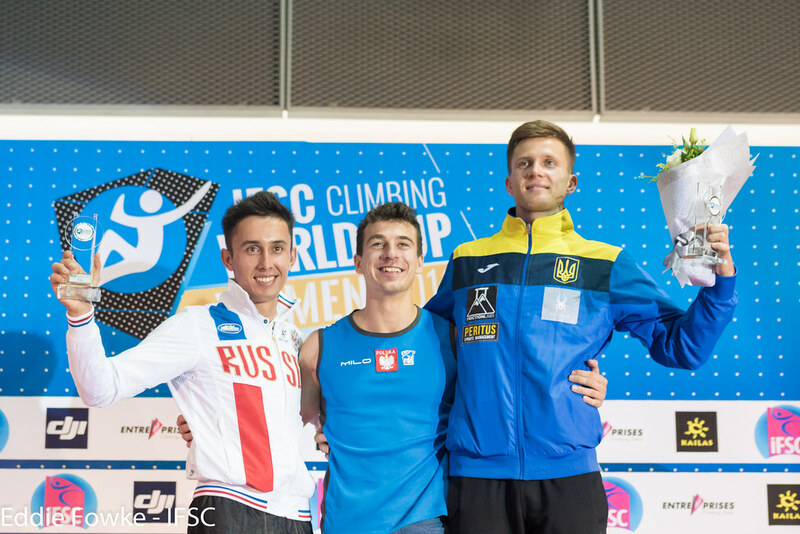 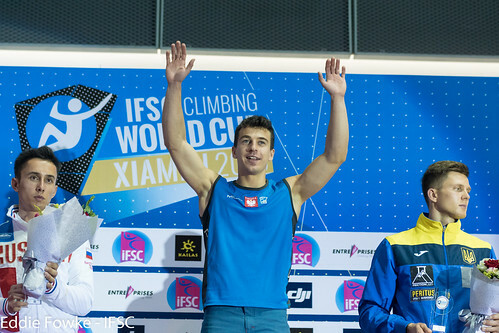 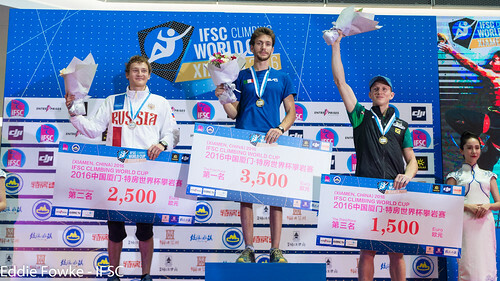 Austrian Jakob Schubert and Russian Dmitrii Fakiryanov -­ Lead winner of the first World University Championships last week in Shanghai­ - pushed into the succeeding volumes for third and second. 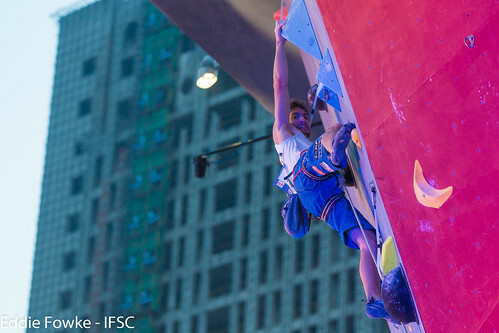 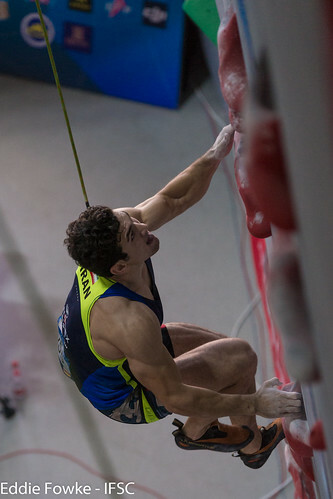 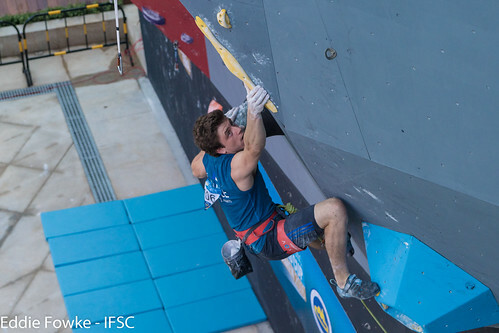 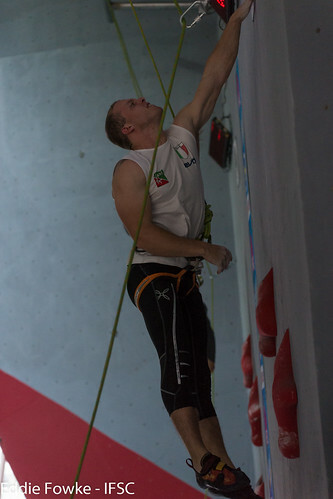 Italian Stefano Ghisolfi was the only Athlete to Top the Semi-Finals route and stuck the decisive next sloper in Finals for his first victory of the year. Domen Skofic of Slovenia, leader of the Lead Rankings, just missed out on qualifying for the Finals in Xiamen.